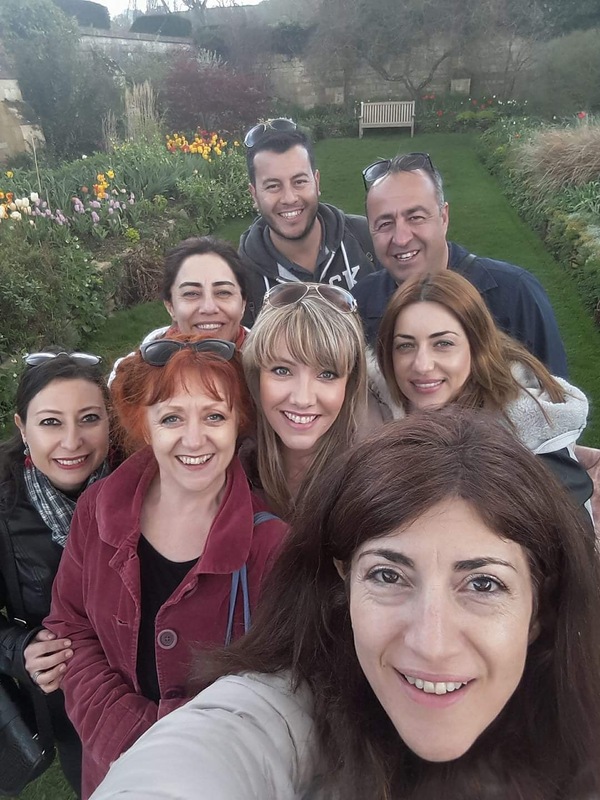 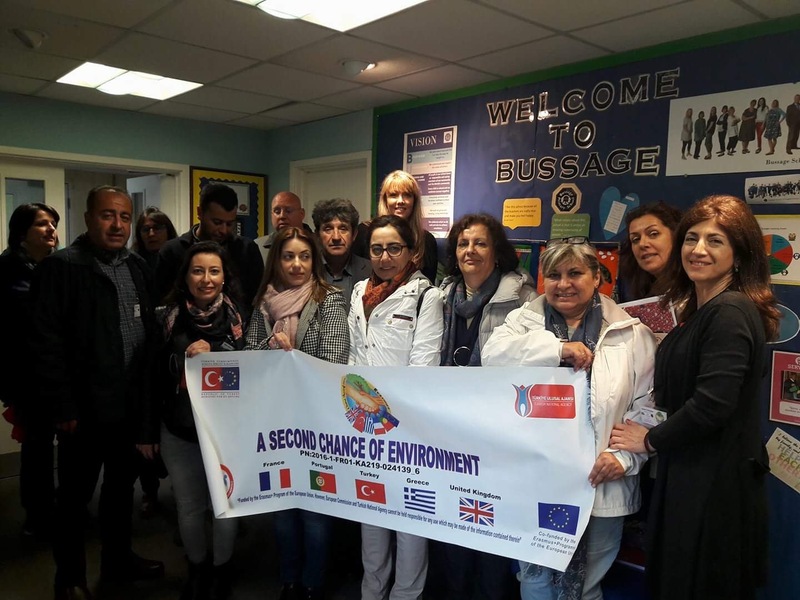 We were delighted to receive our second set of visitors from the ‘Second Chance of Environment’ project this week when adults from Turkey, Portugal, Greece and France arrived at Bussage to work on the next stage of our joint project. 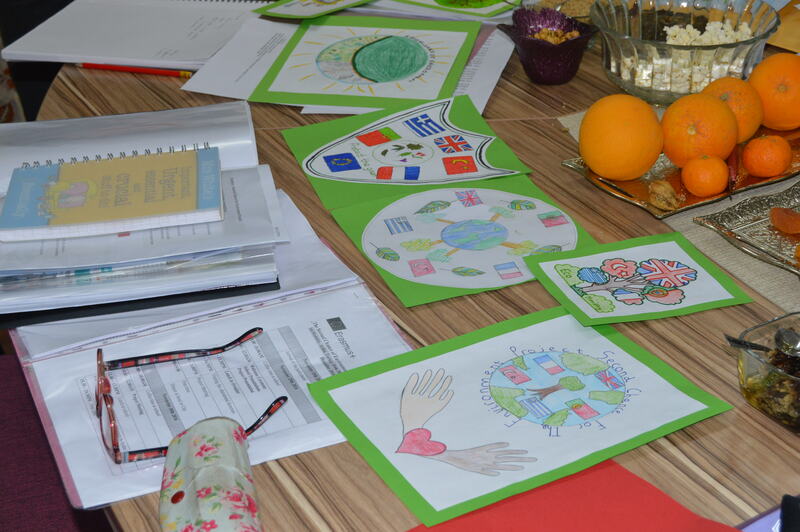 This was to be a week of many meetings for Mrs White: one of which was to discuss the contents of each school’s exhibition for the partnership; ours is being worked on by the Erasmus+ Ambassadors as well as Eco Ministry and wildlife club and it is based on Bussage through the seasons and will depict local plants and animals that can be found at school in each season (it’s in working progress in the corridor looking out onto Rainbows courtyard). 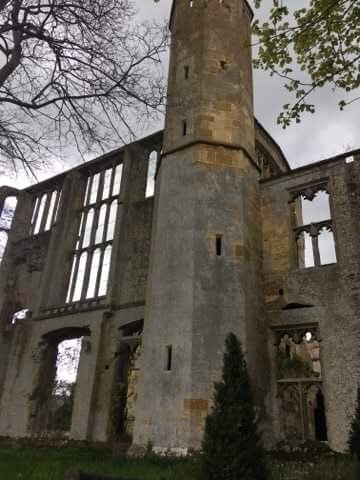 This will be ready by the end of May. 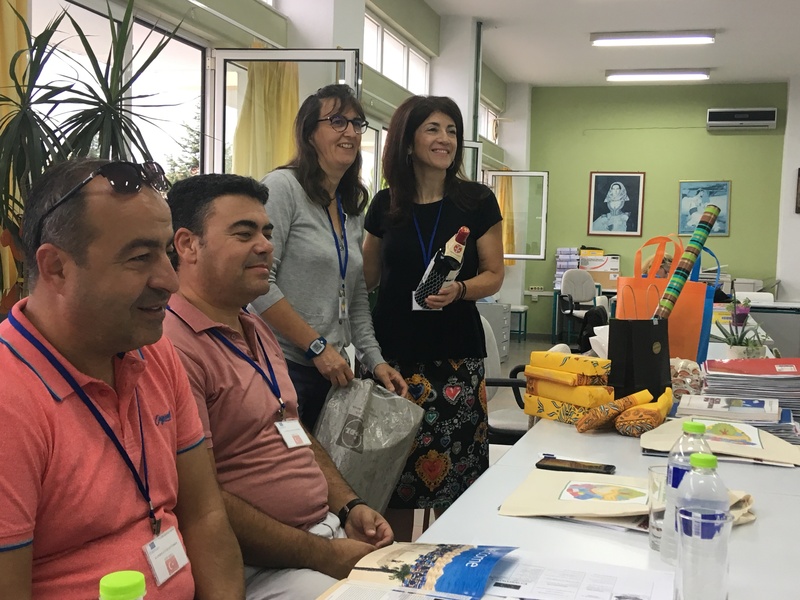 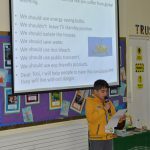 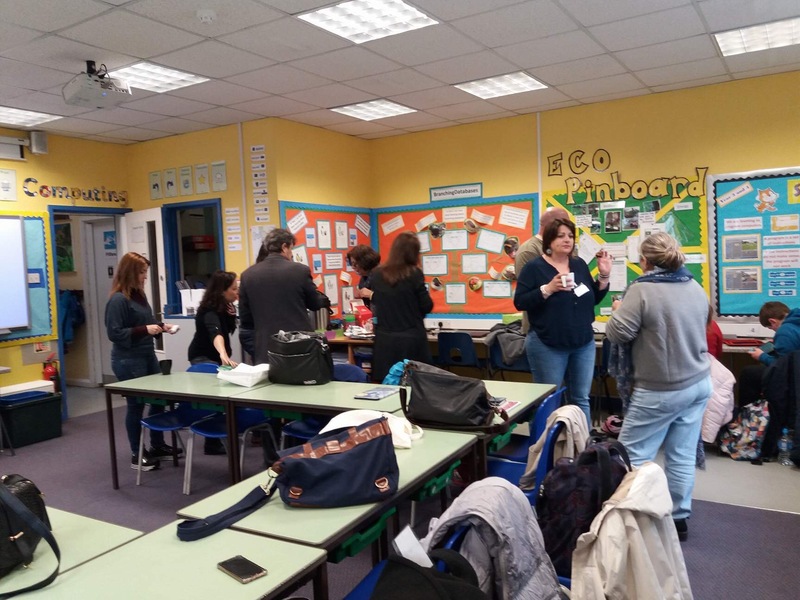 The adults also worked together to share lessons and resources that they have used in each of their schools to help teach children about the environment. 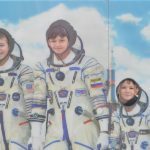 They will share these with each other on the twinspace platform that has been created for the project. 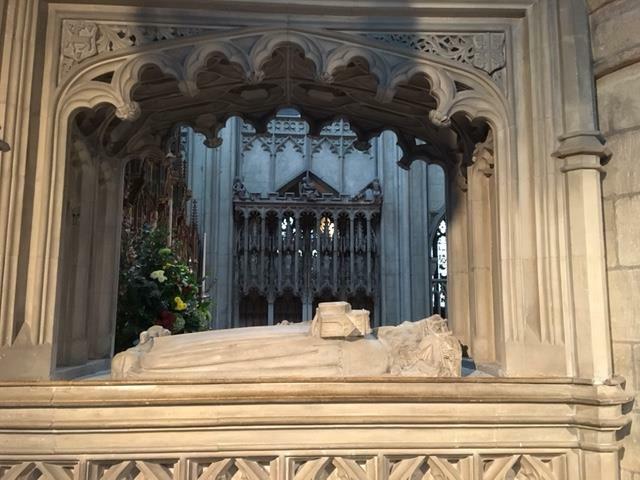 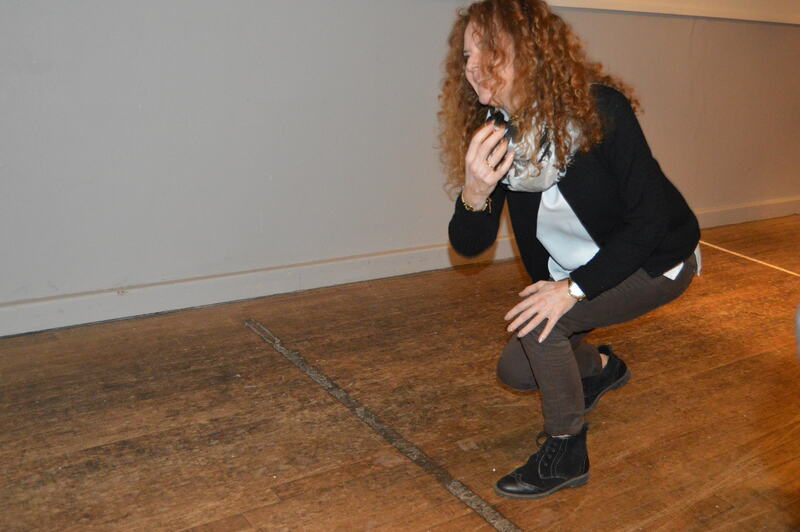 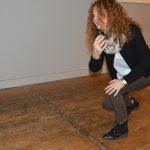 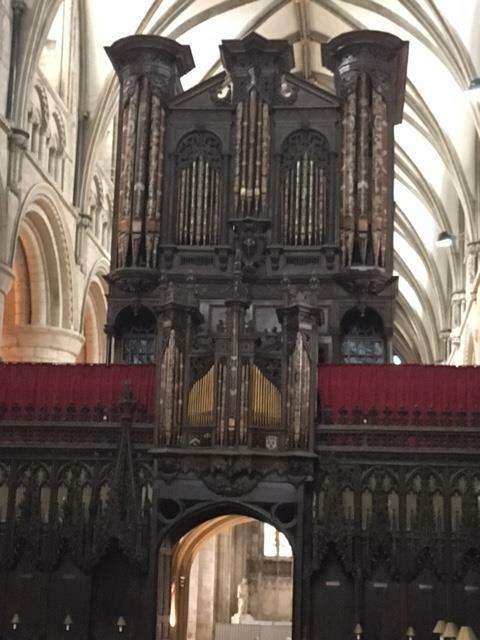 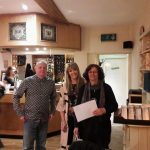 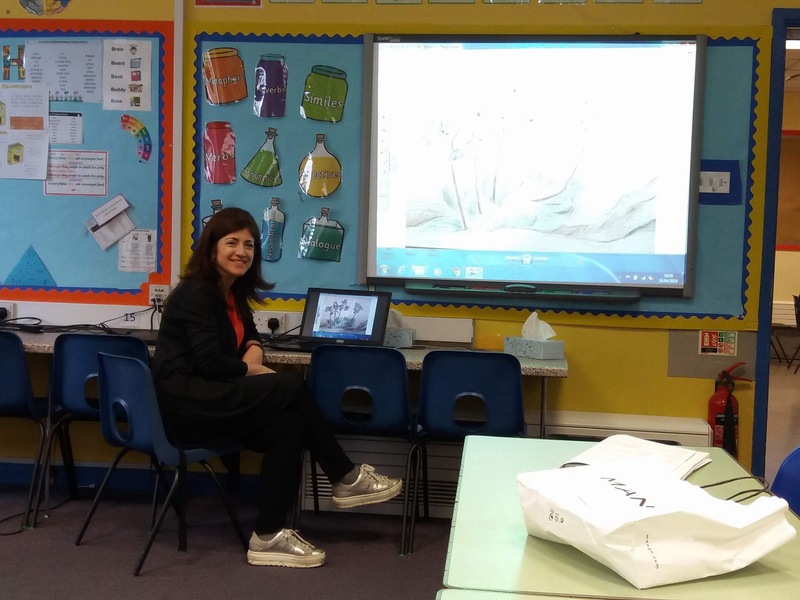 The project website was worked on, our ‘Love messenger’ book was proof read and the virtual exhibition was decided upon and work began on it – what a busy week! 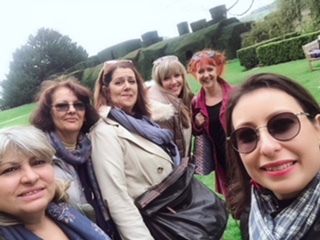 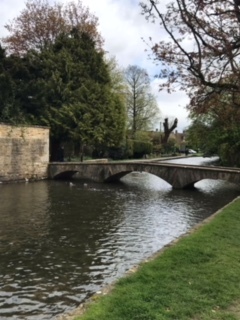 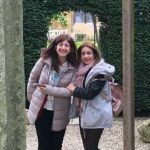 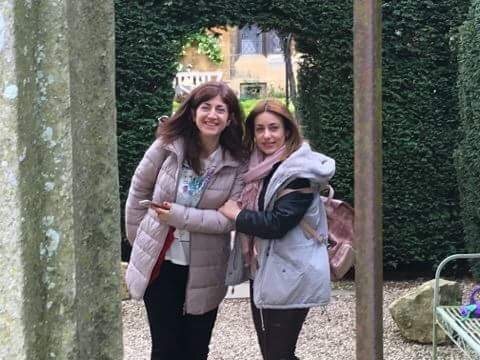 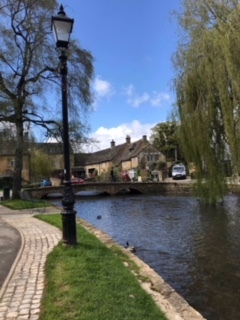 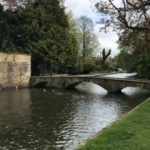 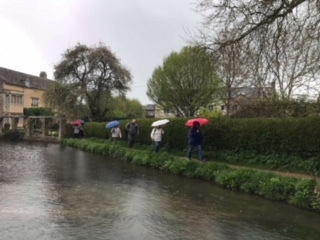 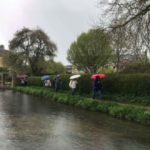 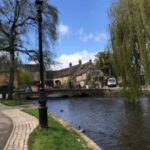 The visitors were taken on a tour of the beautiful Cotswold village, Bourton-on-the-water by Mrs Edwards, they loved the picturesque scenes and it even stayed dry for most of the day! 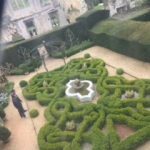 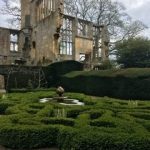 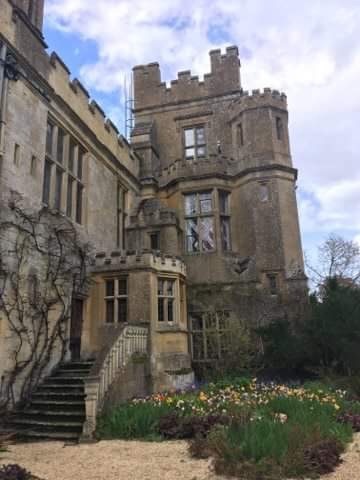 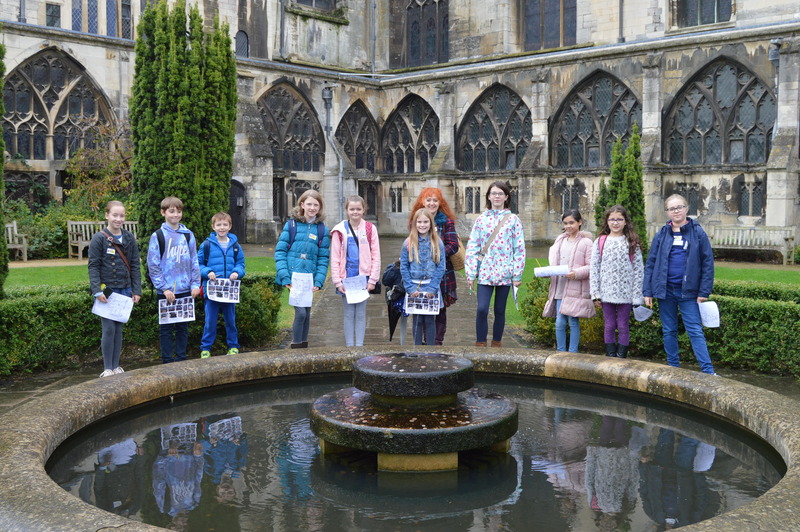 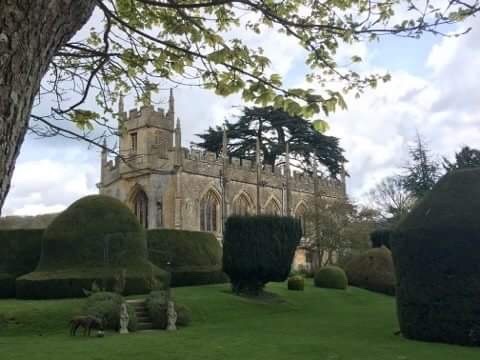 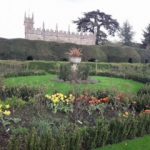 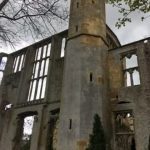 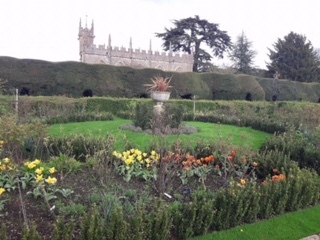 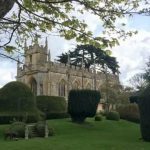 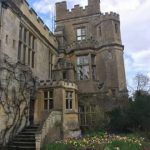 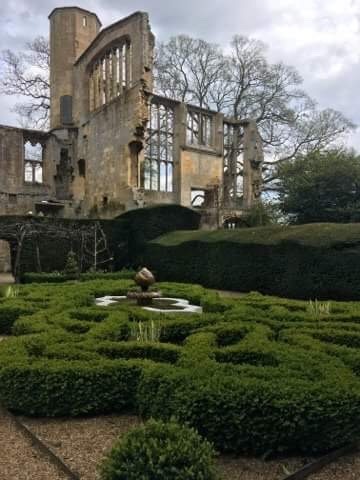 On the penultimate day, after a morning meeting, the visitors explored Sudeley Castle (Winchcombe) and its grounds, learning a wide variety of facts about British history. 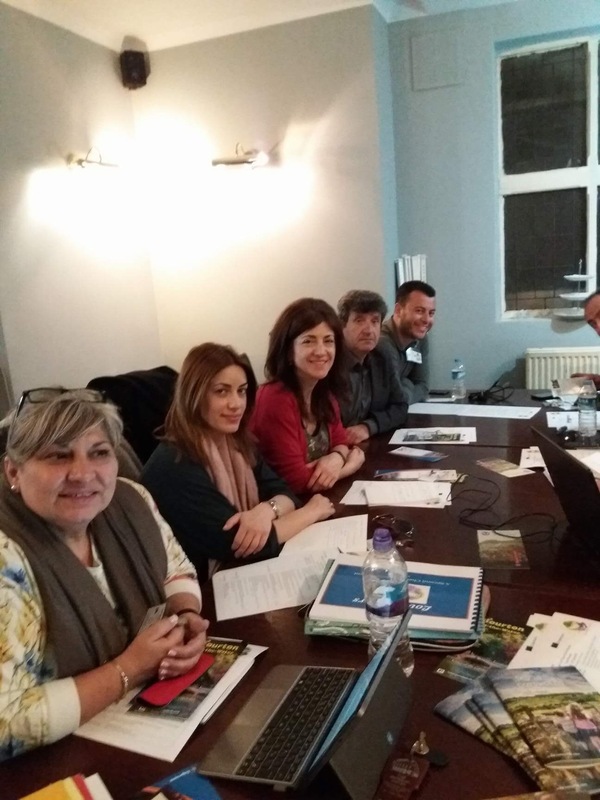 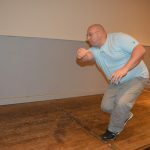 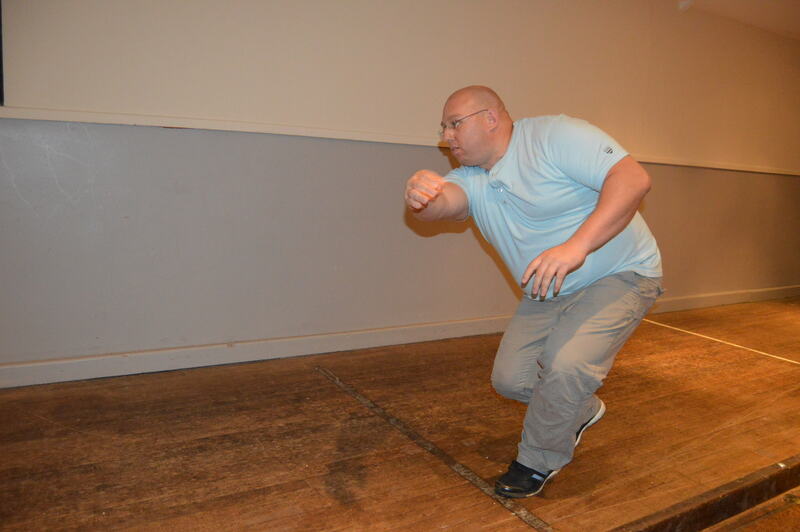 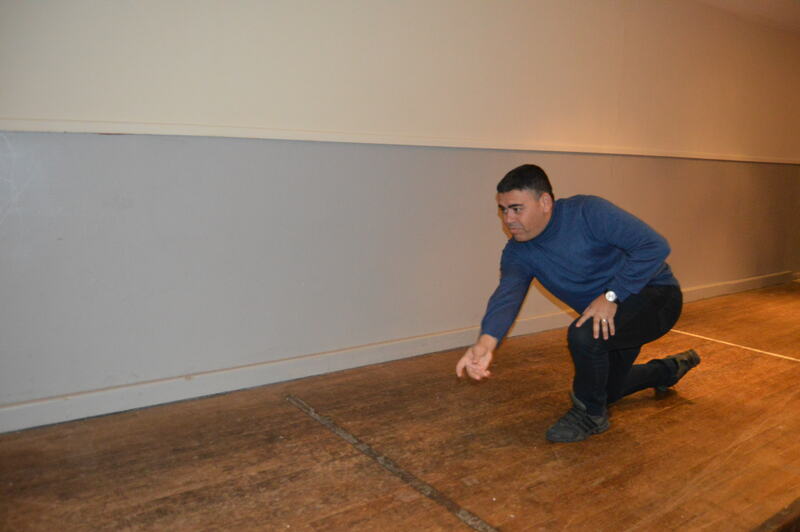 Before we knew it, it was time for the visitors to return to their own countries, ready to make final preparations for the end of the two-year project during the final meeting in France in July, 2018. 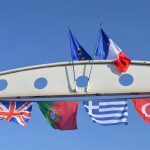 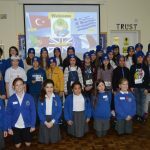 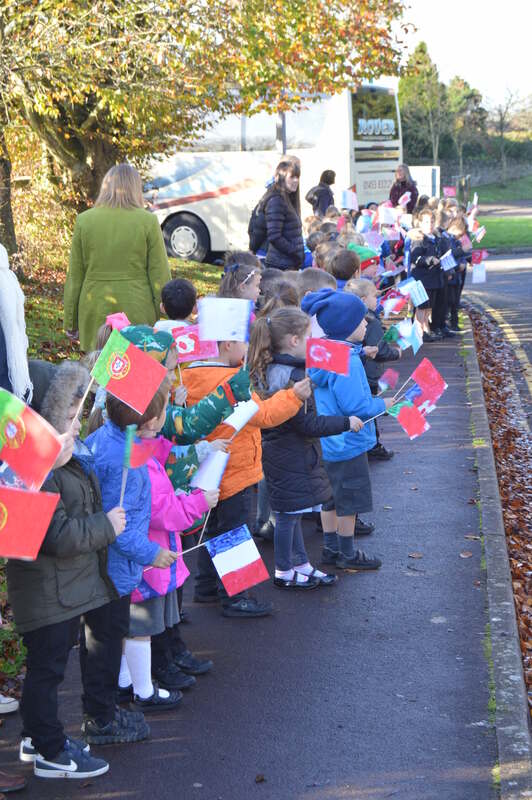 The whole school lined the drive waving flags each class had made for each country to welcome all of our visitors; 20 children and 8 adults from Portugal, France, Greece and Turkey arrived after a long journey from their home countries. 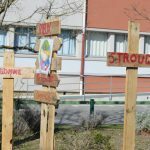 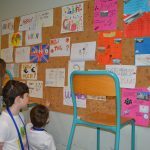 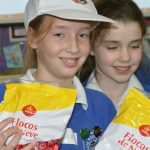 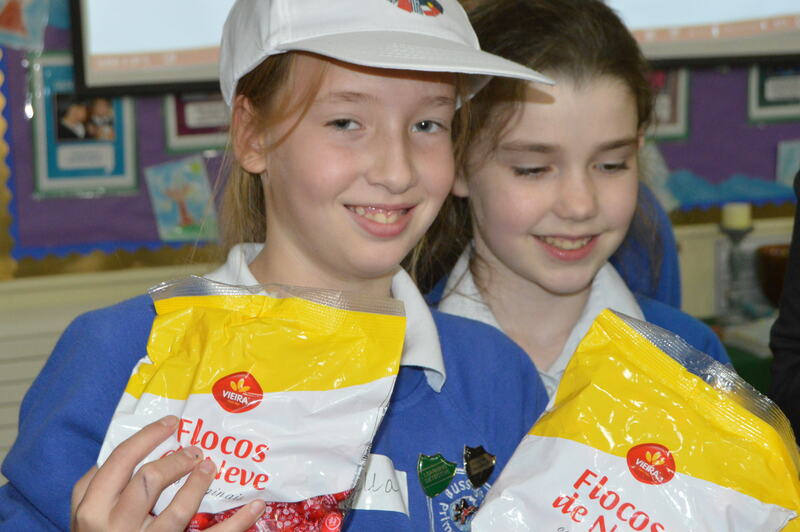 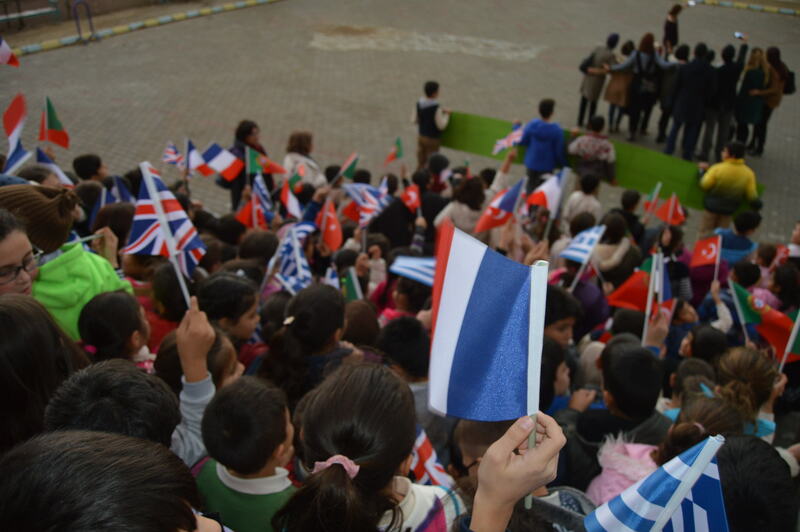 After a fantastic welcome assembly in which each class presented a song in the language of one of our partner countries, our Erasmus+ Ambassadors took the visitors on a comprehensive tour of our school and grounds – they were amazed to see how large our outside space was and loved our vibrant, informative displays and shared areas. 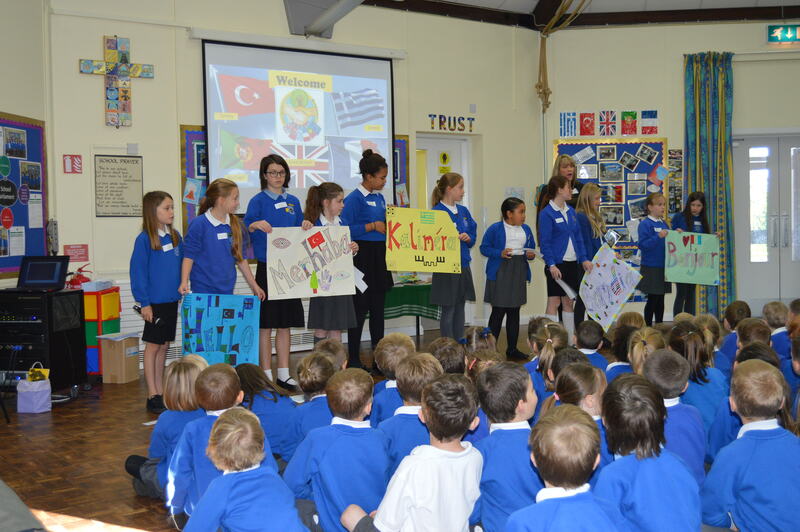 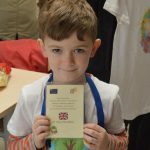 They also enjoyed seeing examples of the work we had done learning about each partner country during our Erasmus+ awareness week. 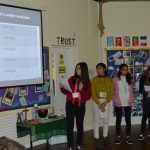 Now it was time to get to work: the teams from each country set to work in the hall to present the solutions to the environmental problems that had been written earlier in the partnership (ours was focused on deforestation). 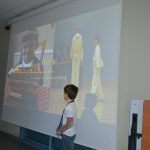 The children bravely stood in front of the whole partnership to present their findings and did a fantastic job of it too. 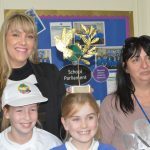 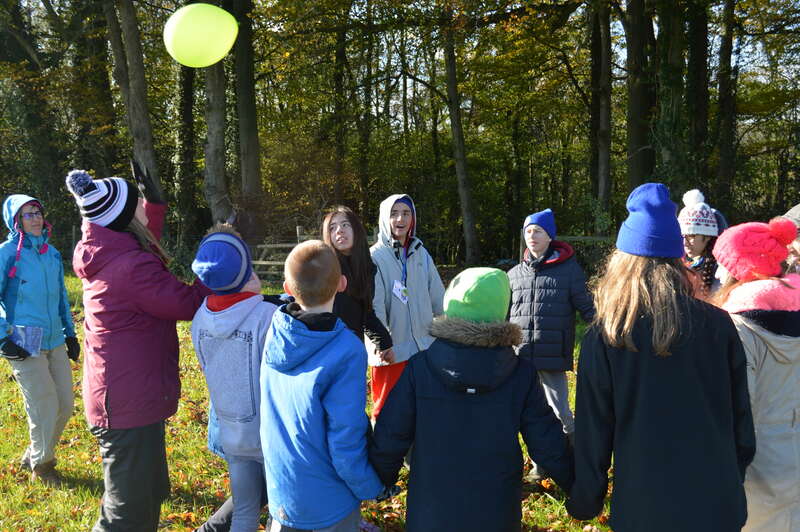 The work is now shared on our partnership twin space as part of etwinning and is being put onto the Second Chance for Environment website too. 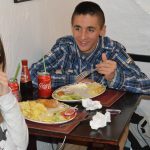 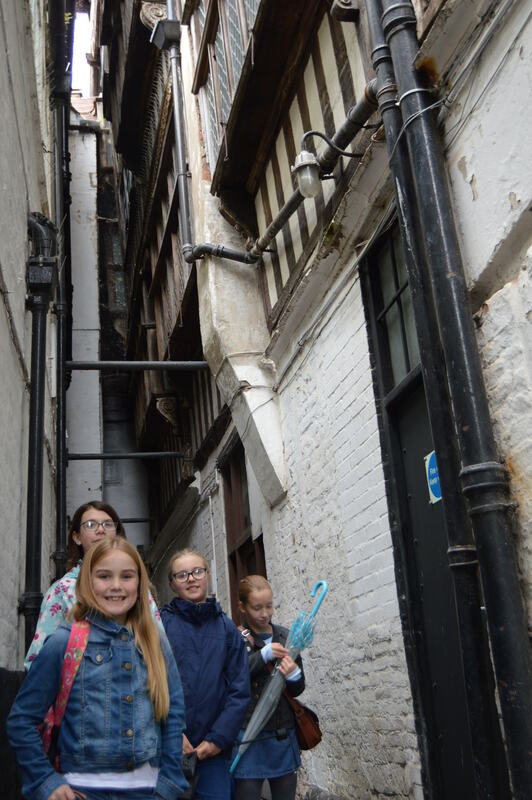 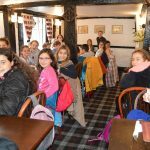 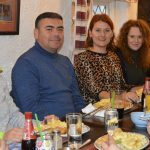 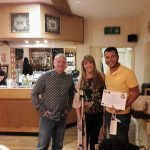 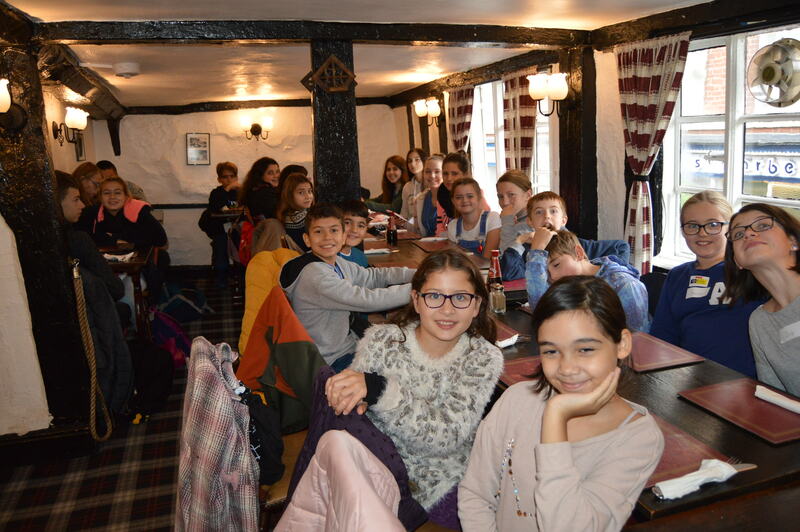 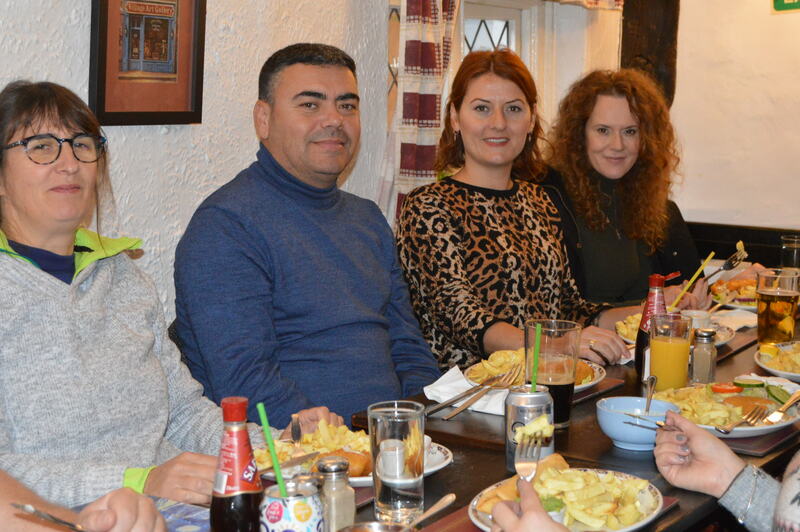 Once the treasure hunt was completed, they all enjoyed a delicious lunch of traditional fish and chips from the oldest chip shop in town – ‘Ye Olde Restaurant and Fish Shoppe’. 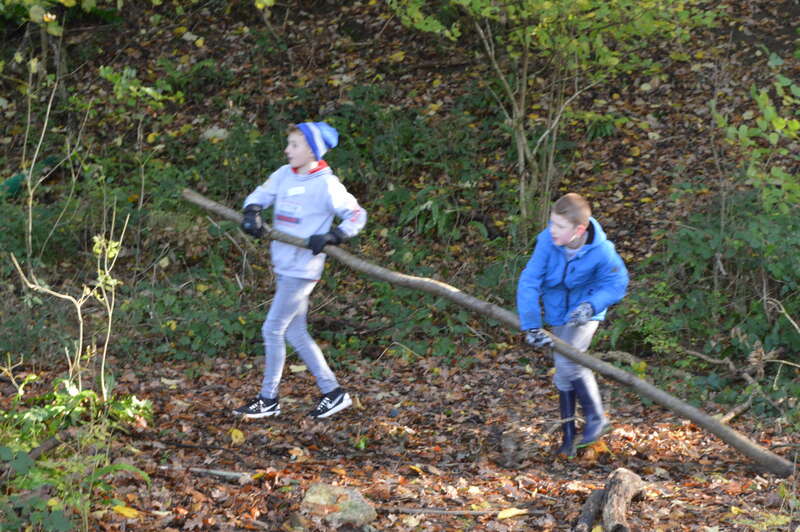 I think it took a bit of getting used to by some of the children! 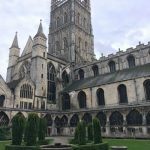 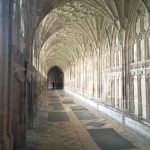 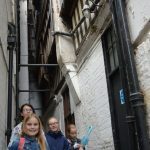 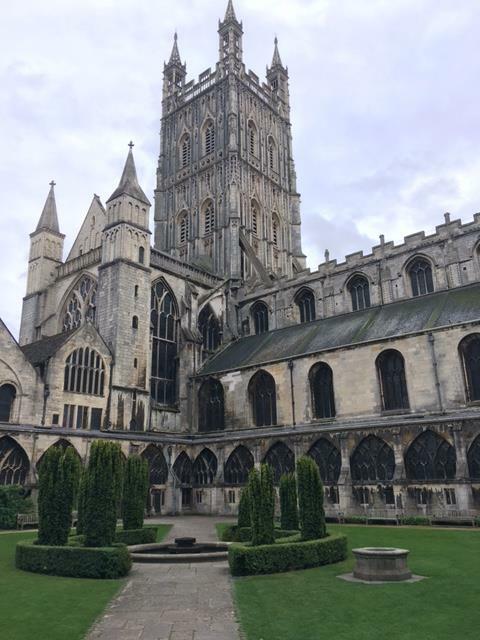 We ended our time in Gloucester by wandering around the historic docks, noticing the tall ships and warehouses – oh and Gloucester Quays shopping mall too. 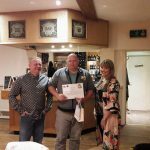 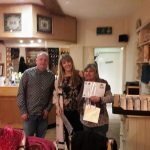 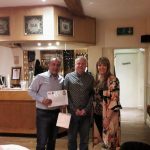 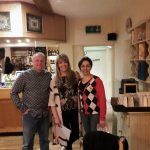 In the evening, we met up with other members of staff and children from Bussage Primary to attend the annual Fireworks Night in Chalford; the show was superb and enjoyed by all. 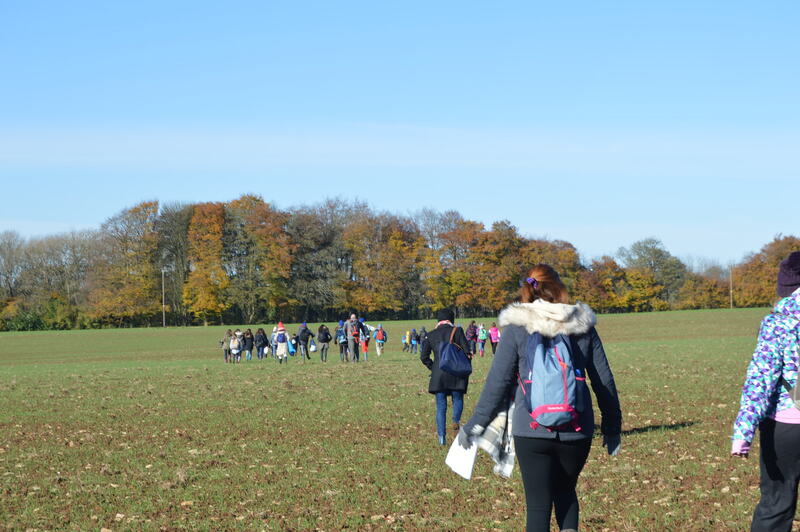 What a glorious day this was in many ways for our visitors to experience. 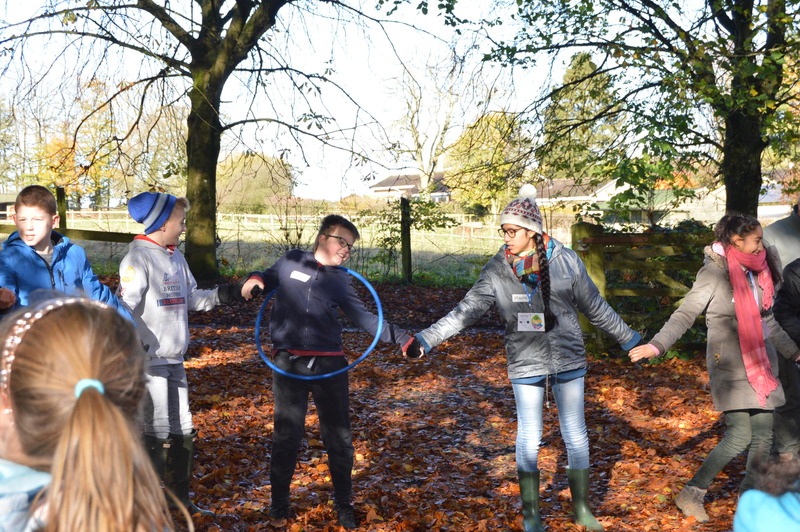 The winter sunshine came out and warmed us all day whilst we spent an action-packed day at Copsegrove Farm. 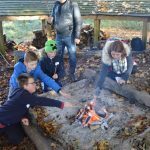 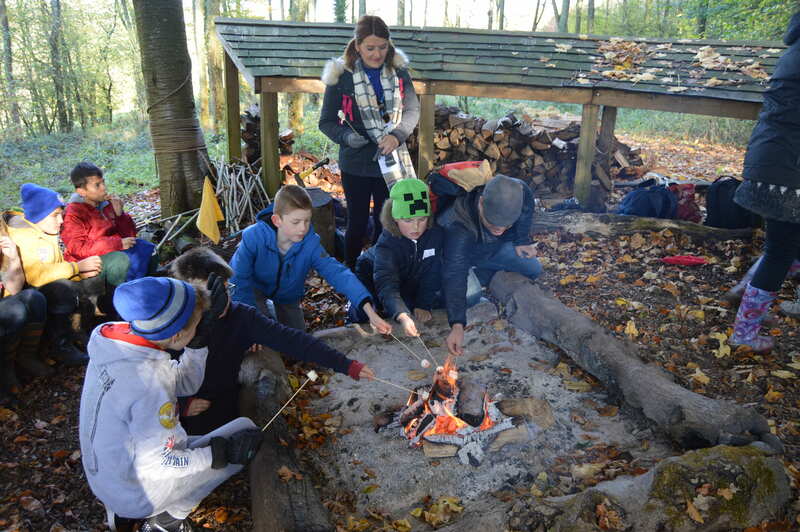 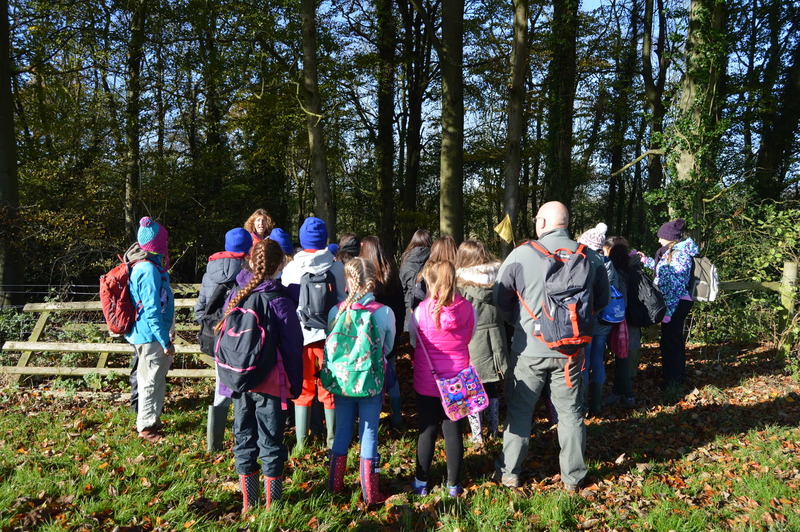 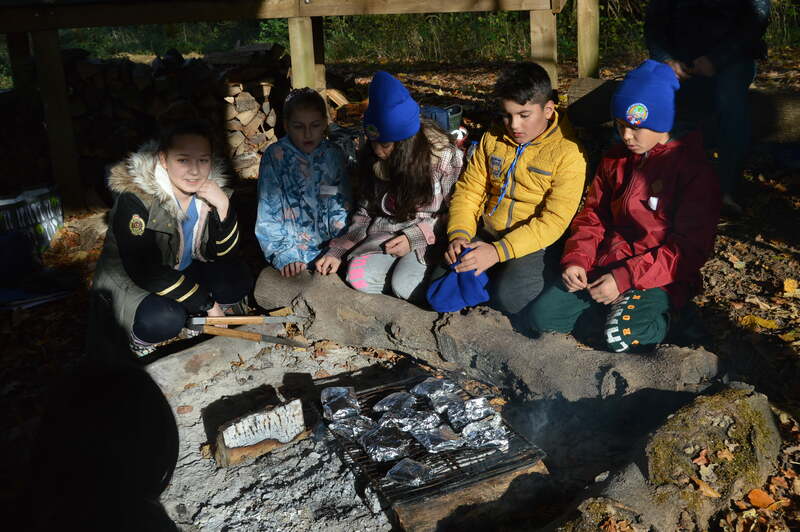 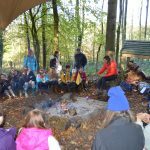 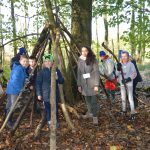 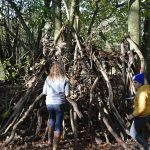 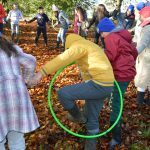 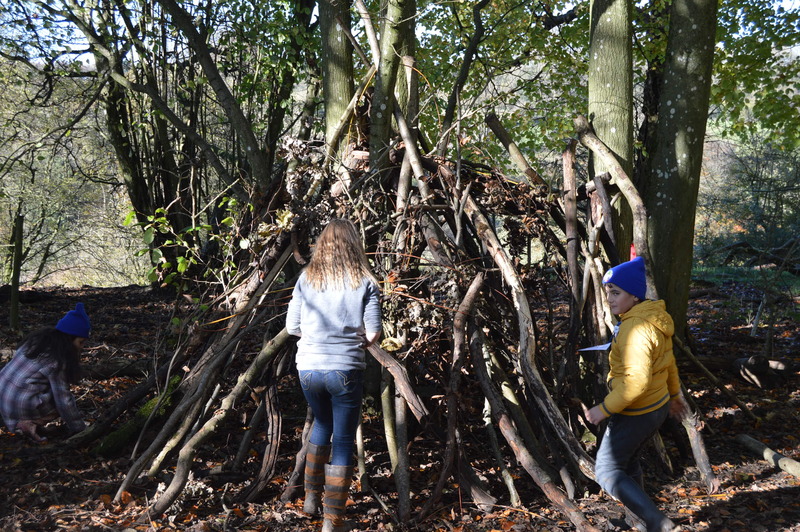 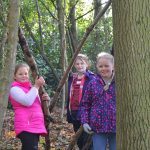 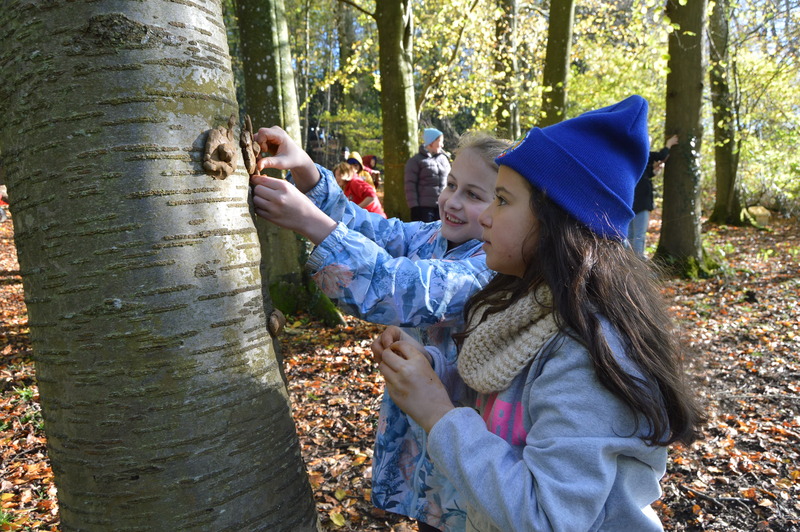 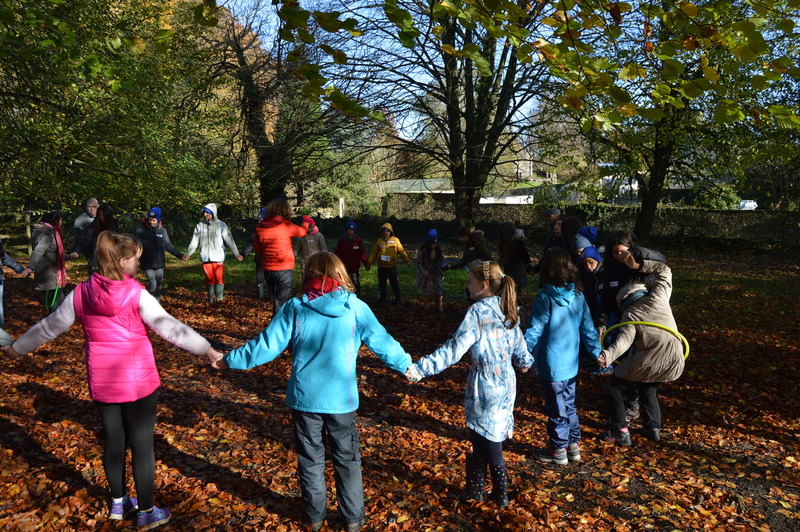 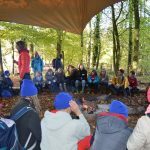 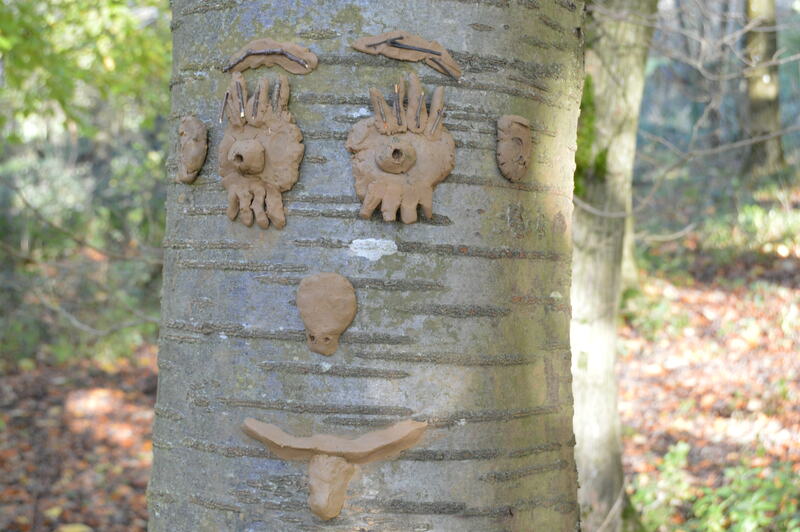 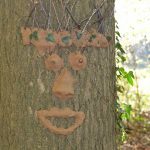 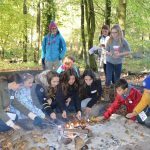 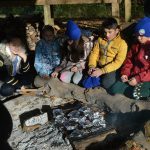 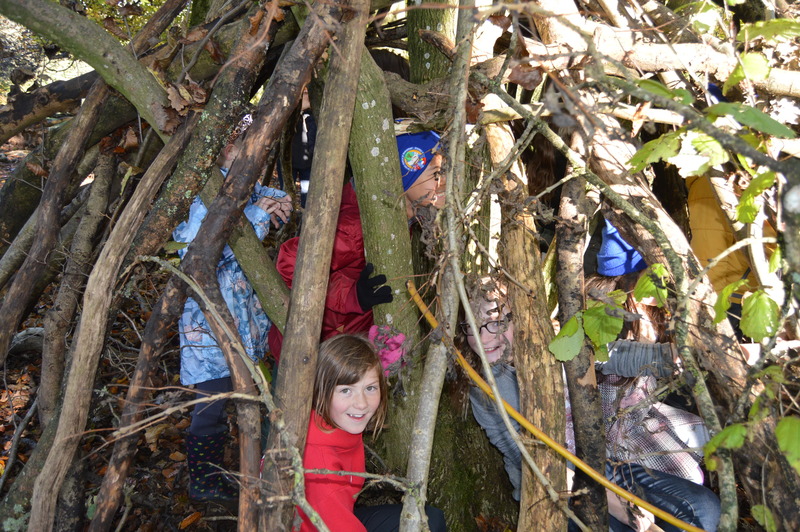 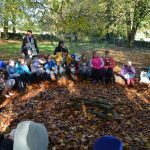 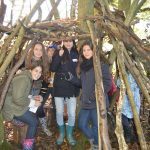 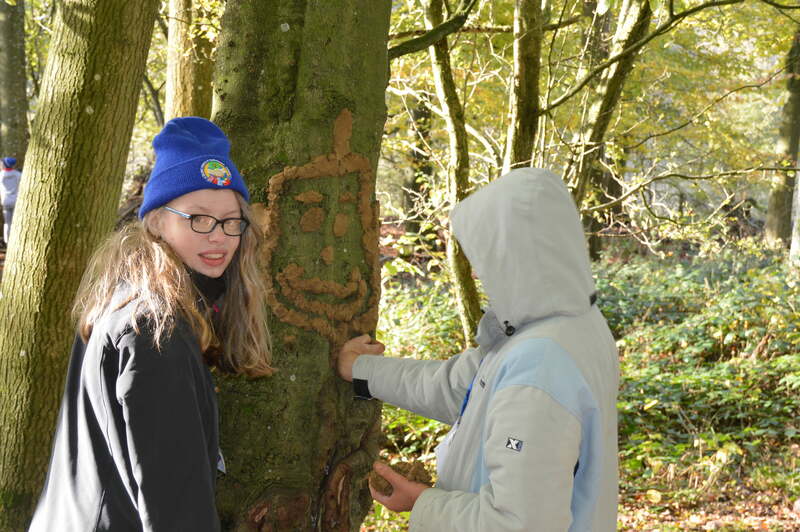 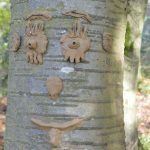 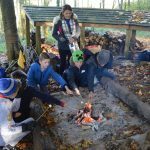 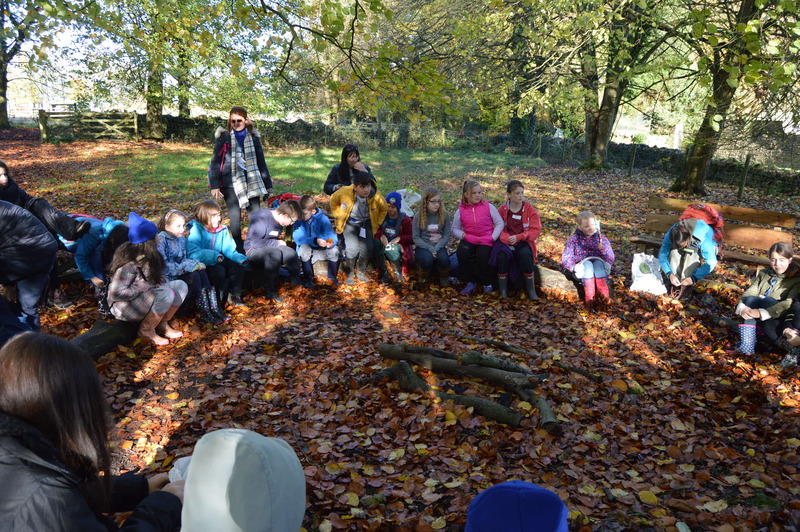 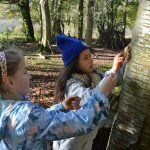 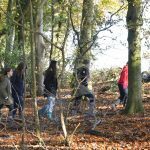 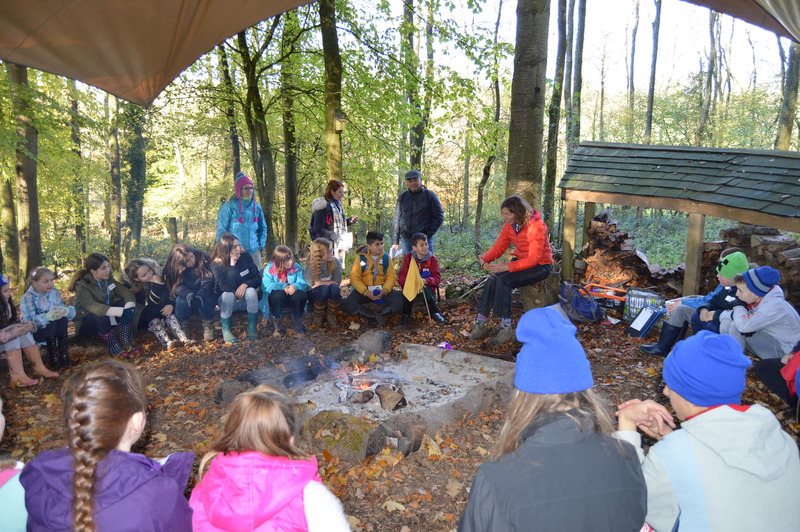 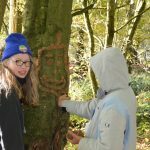 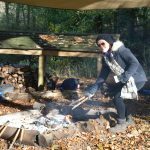 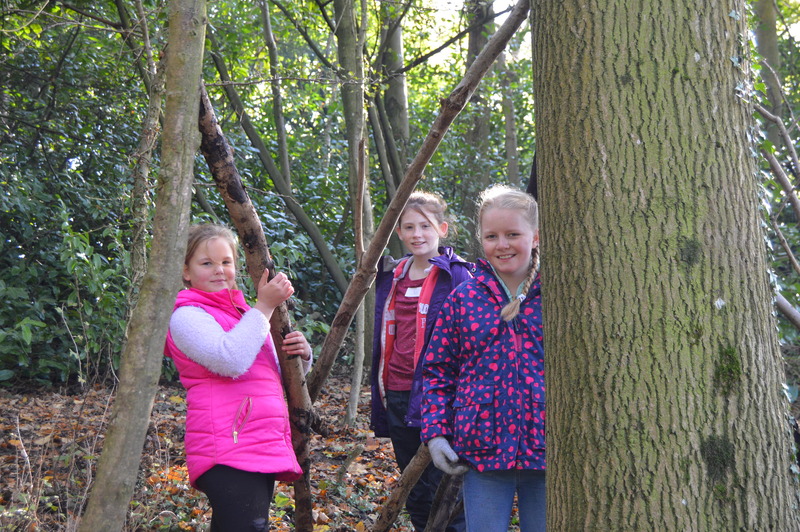 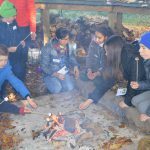 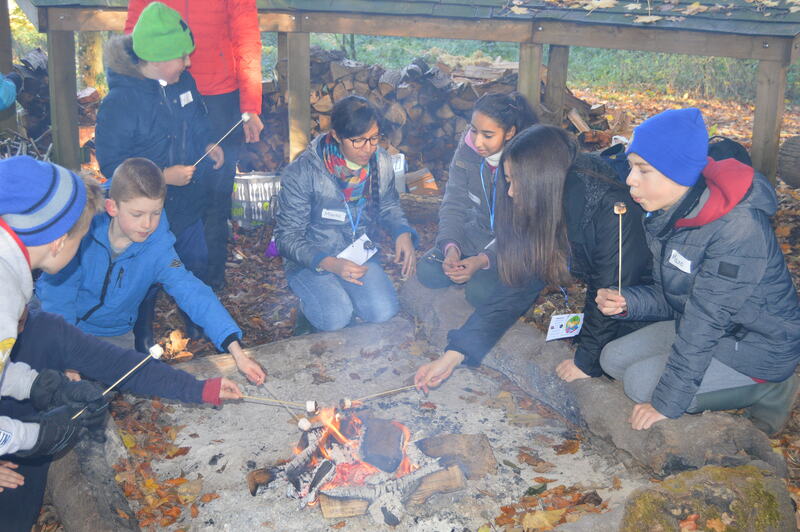 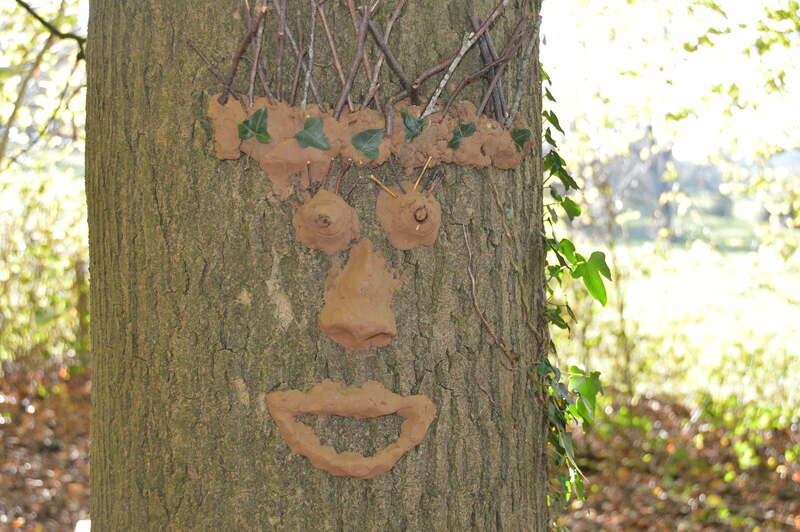 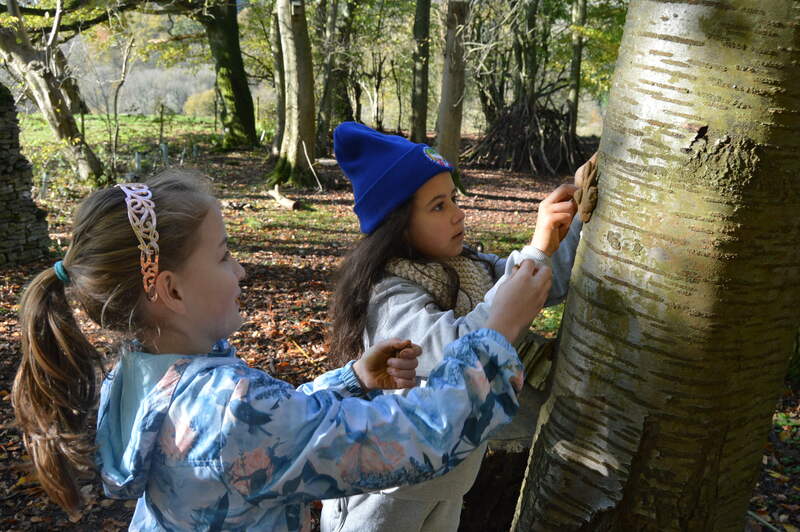 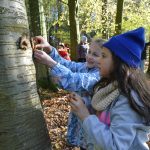 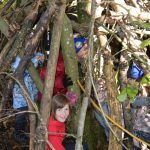 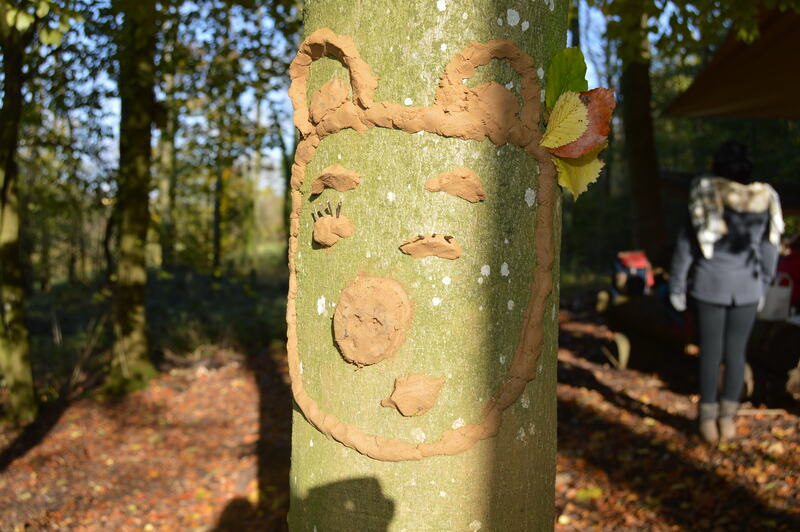 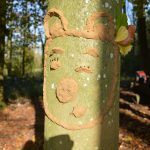 Campfire, smores, chocolate melting wraps, team games, tree troll sculptures….and of course the experience of the loo with a view! 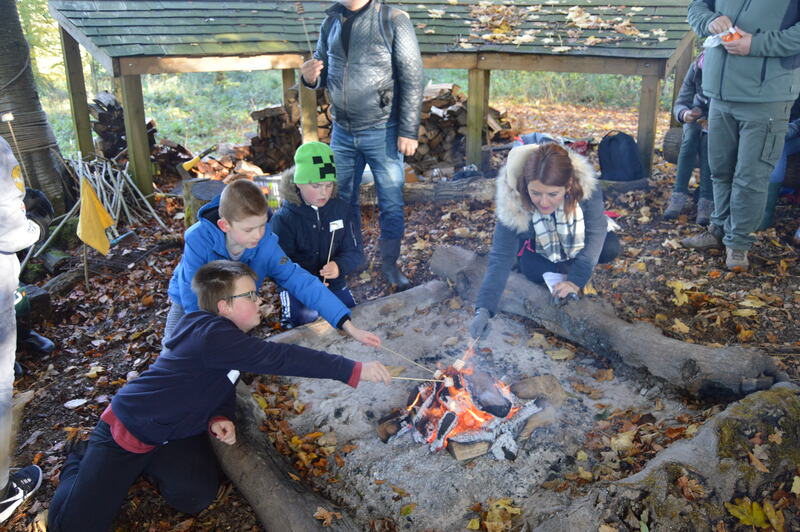 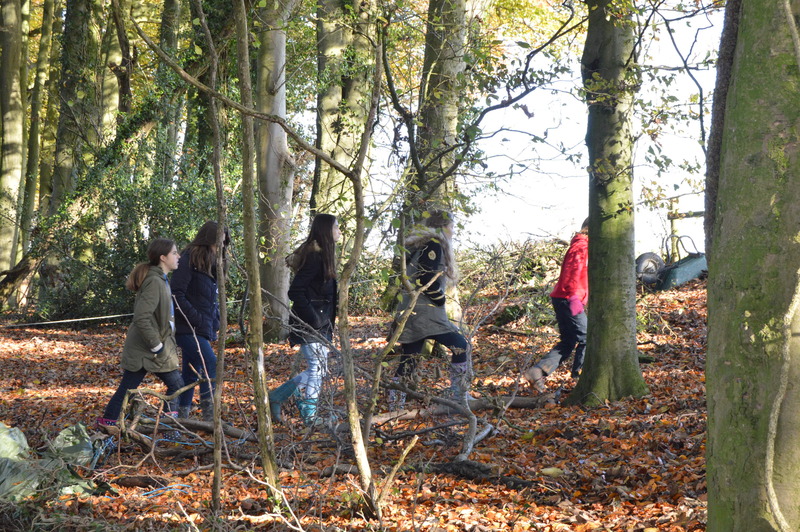 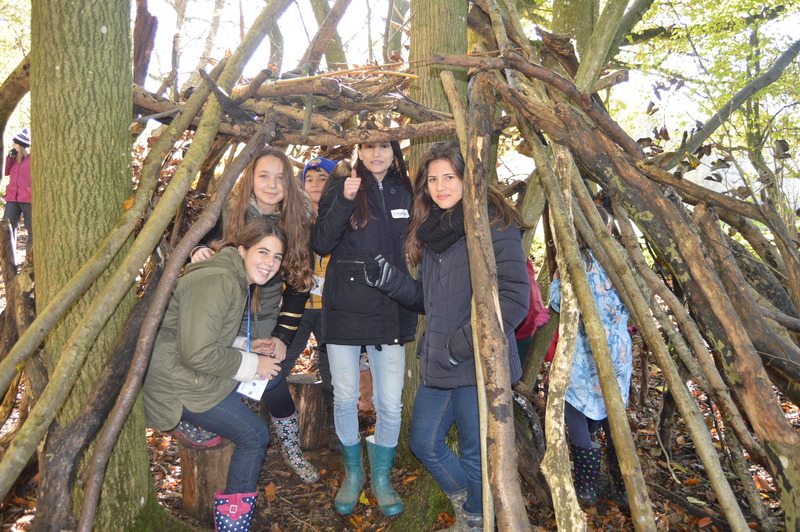 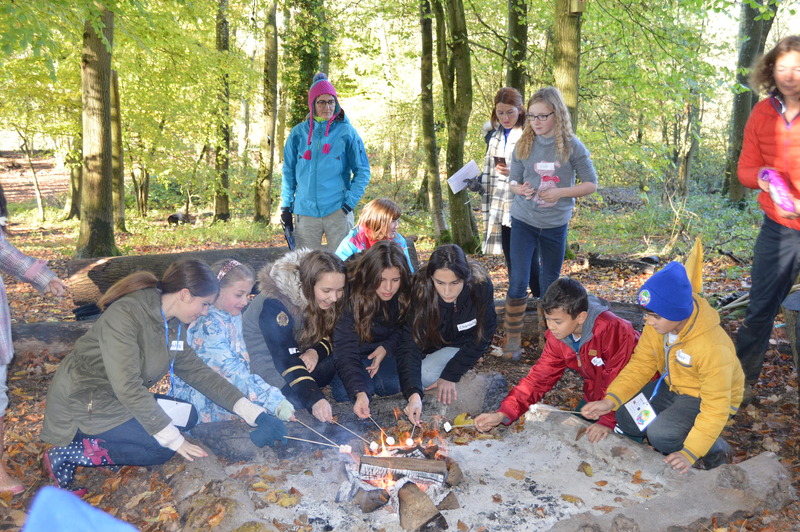 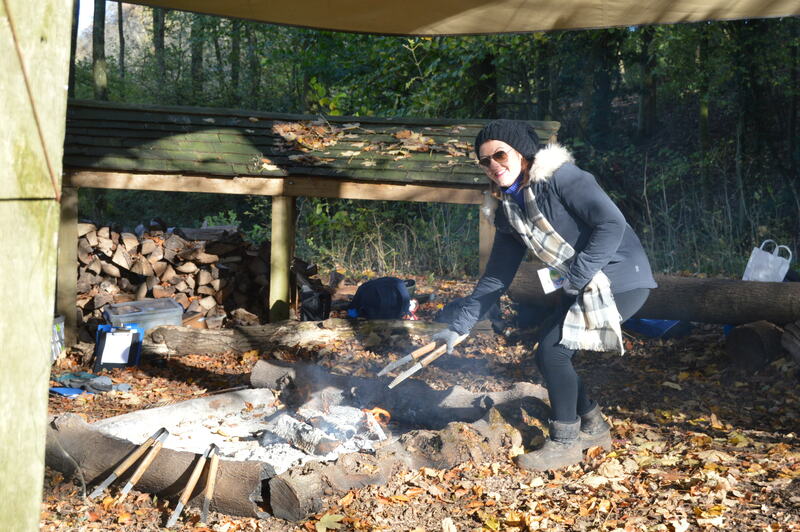 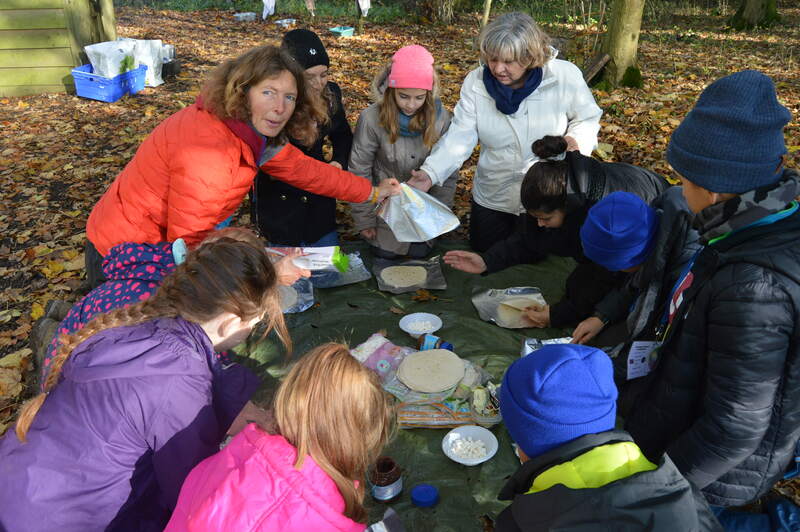 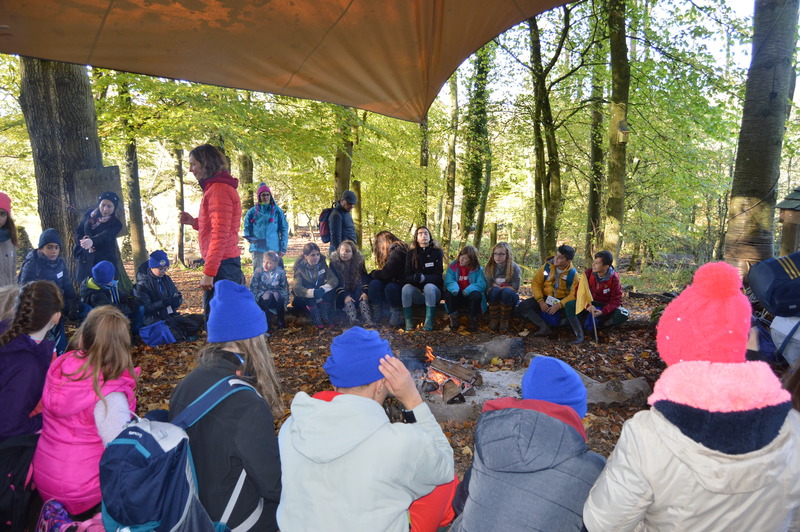 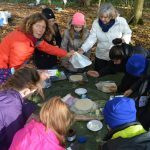 Our visitors said they had never experienced outdoor education in this way before – and they loved it! 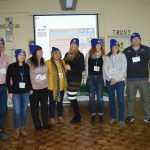 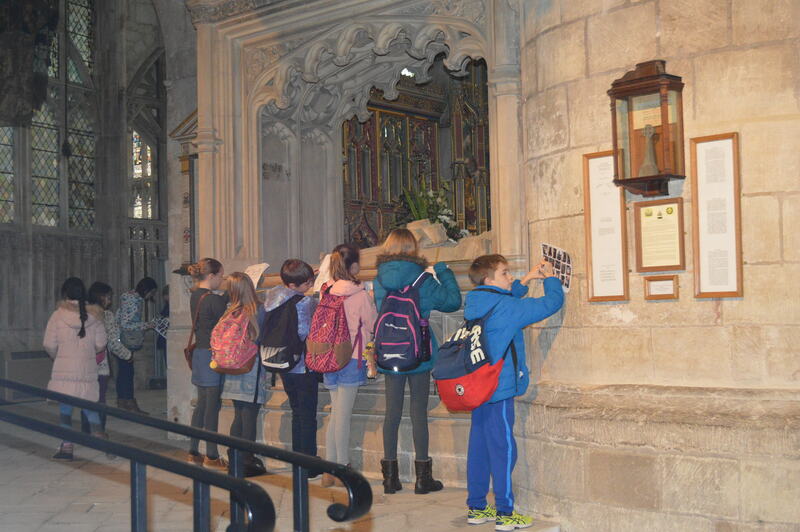 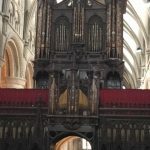 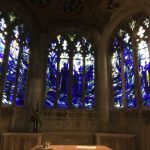 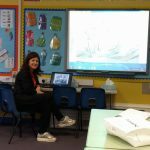 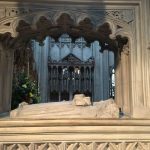 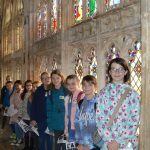 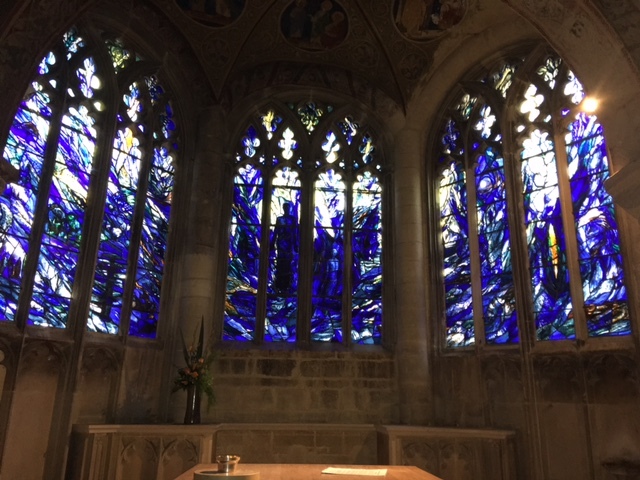 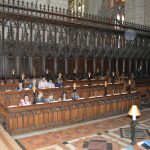 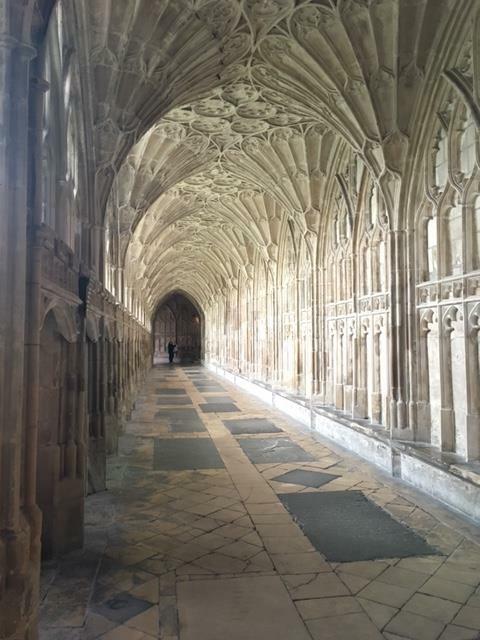 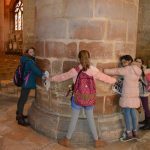 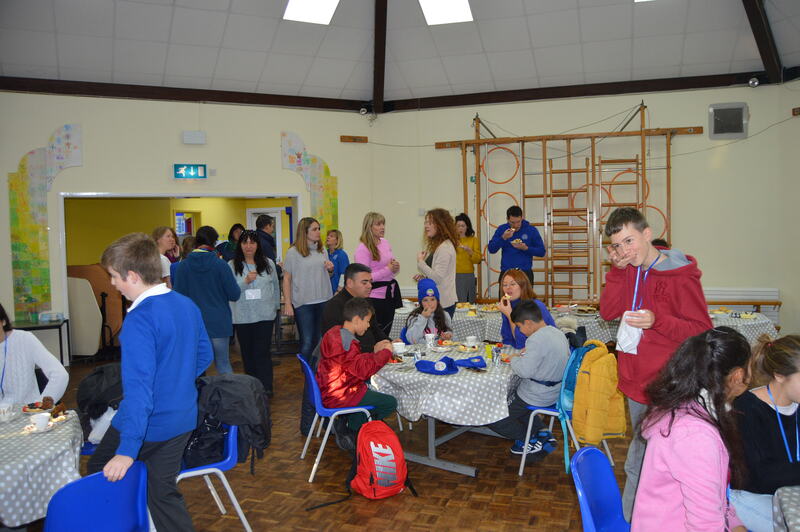 Some of our partners said that all of their learning takes place within the walls of their school, so to experience the learning like we had at Copsegrove that day was very special. 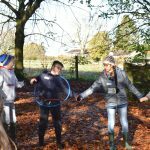 Kate, our leader for the day at the farm, offered the children a superb range of creative activities that challenged and inspired. 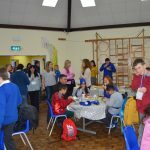 It was lovely to see all the children work together brilliantly and the Bussage team of Year 6’s helped the day run very smoothly. 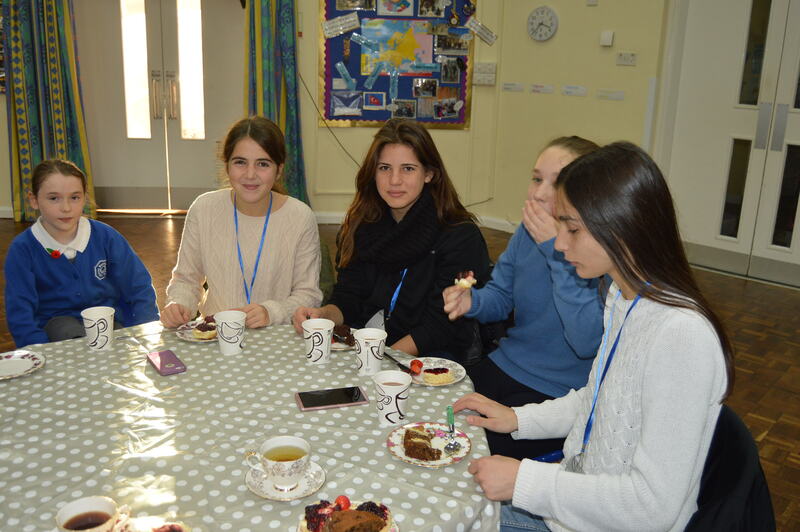 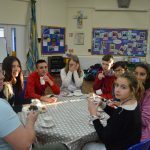 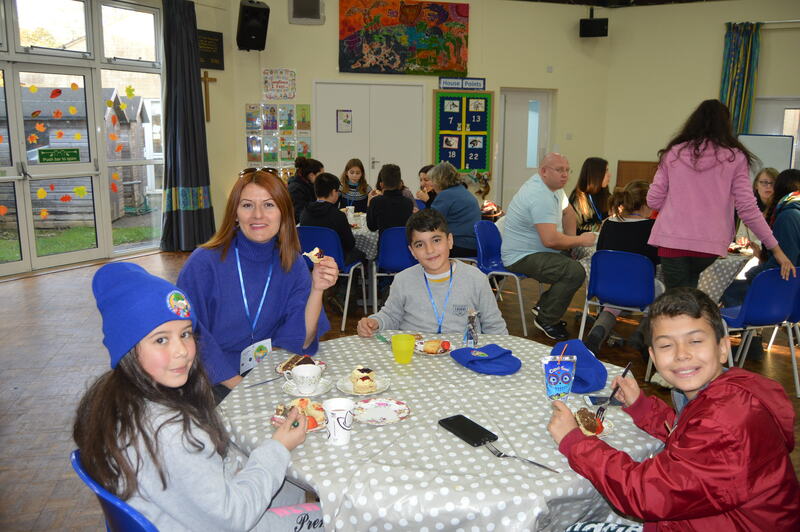 After all that hard work on the farm, it was back to Bussage School for a traditional cream tea – and it was delicious. 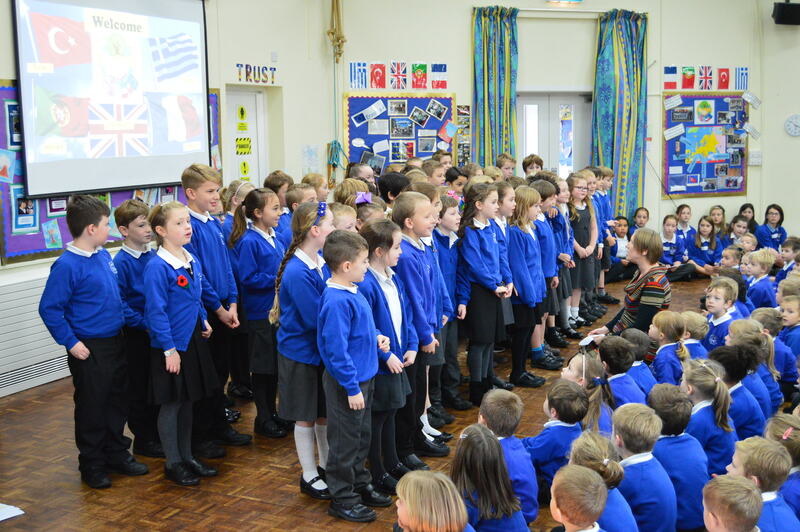 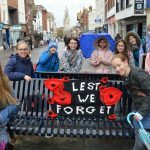 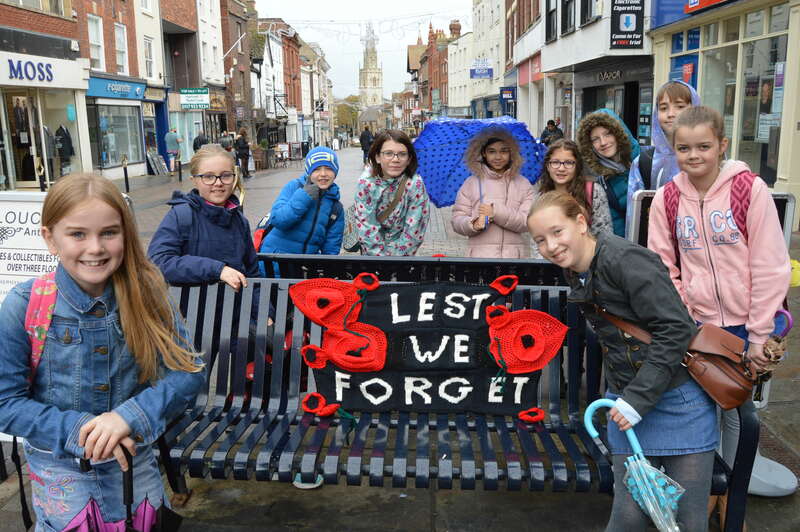 Governors, pupils, staff and even a few past pupils who had been involved in the project came along. 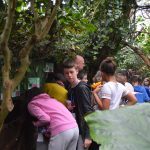 On our last full day of the visit from our partners, the children, adults and twn of our Year 6 class travelled to ‘The Living Rainforest’ in Berkshire. 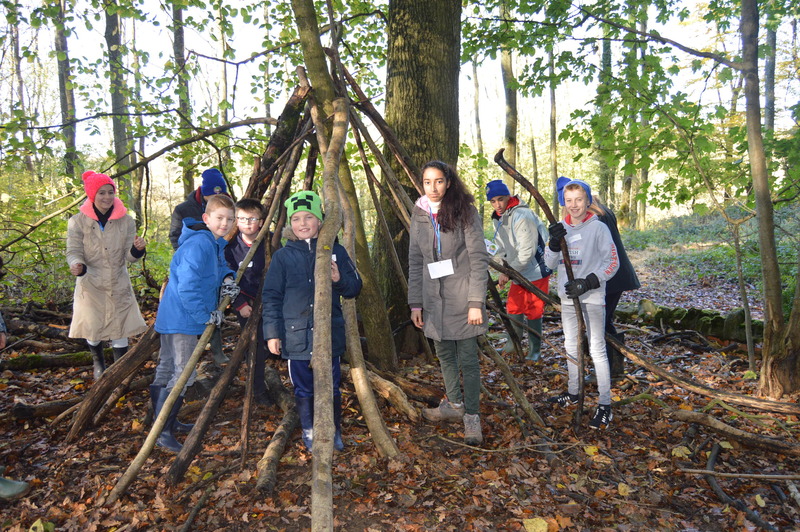 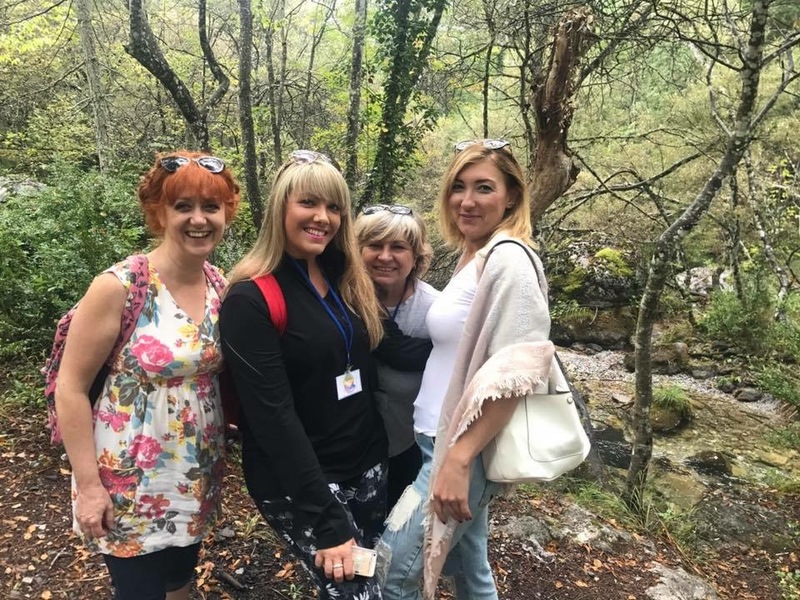 Here, our international friends were able to experience the conditions of a rainforest and learnt more about the reasons our school decided to focus on deforestation as our part of the Second Chance of Environment project. 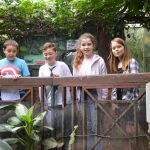 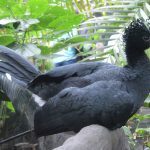 To help celebrate the partnership, Bussage School decided to adopt an animal at The Living Rainforest in the name of the partnership. 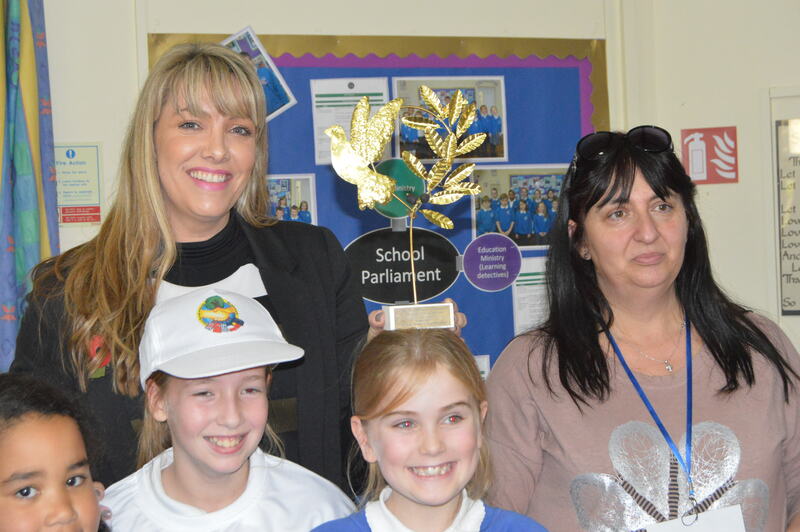 The whole of Bussage School voted for their favourite animal to adopt – the winner was Cinnamon the sloth. 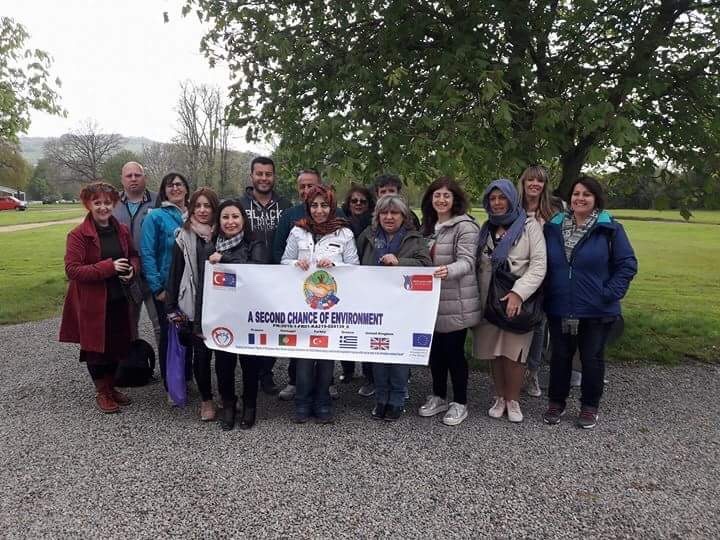 Each country of the partnership has returned home with an adoption certificate knowing that they have made a contribution to the well-being of that species. 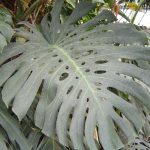 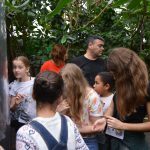 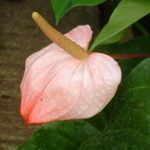 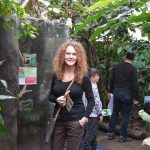 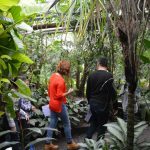 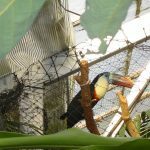 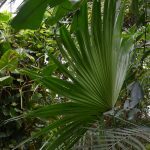 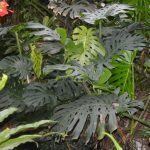 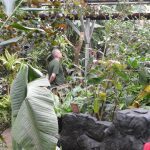 The Bussage Year 6’s attending the day to help guide our visitors, did a fabulous job of showing them around the greenhouses, the layers of the rainforest and its creatures. 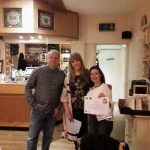 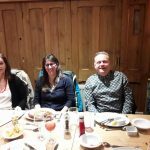 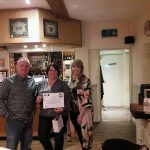 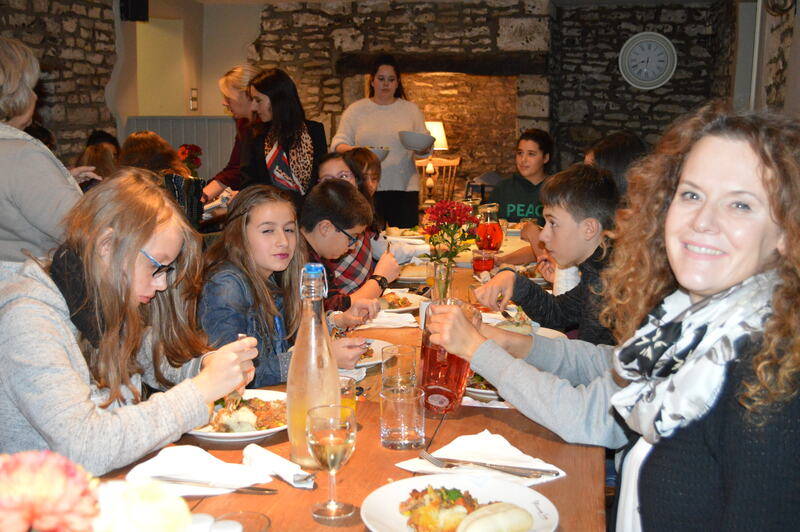 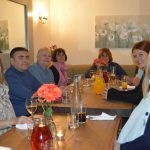 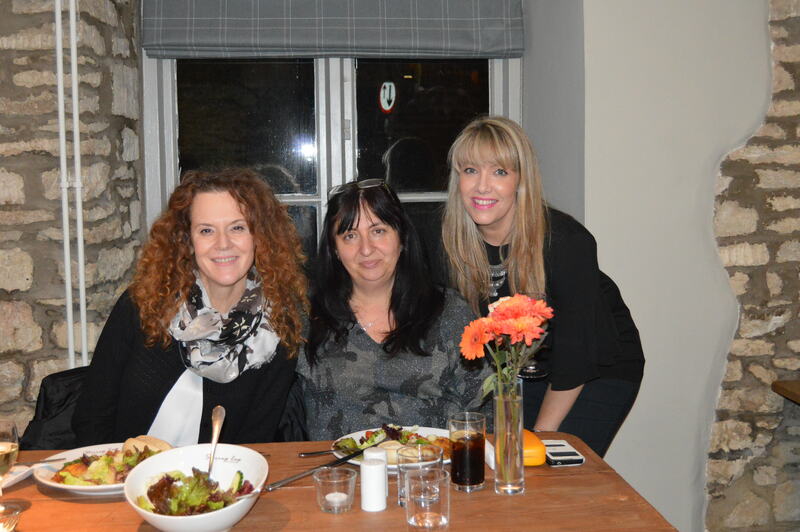 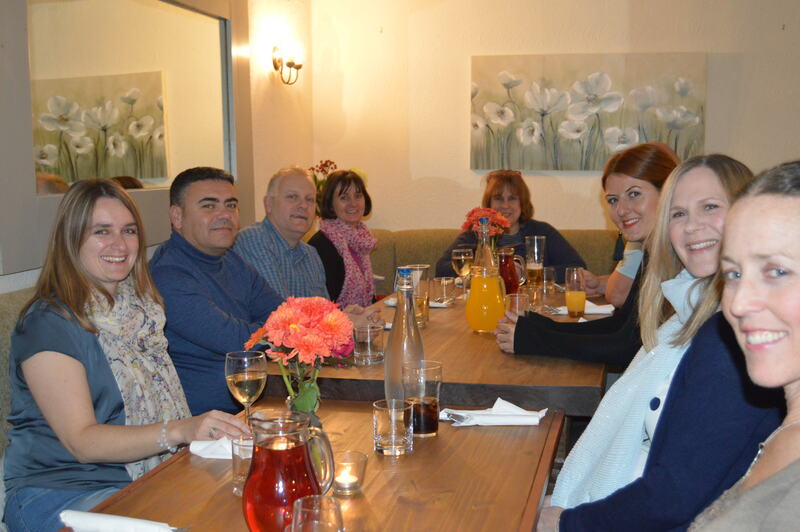 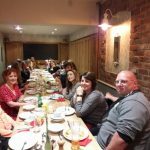 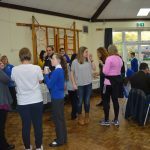 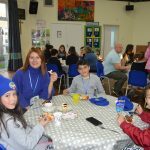 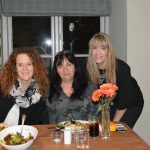 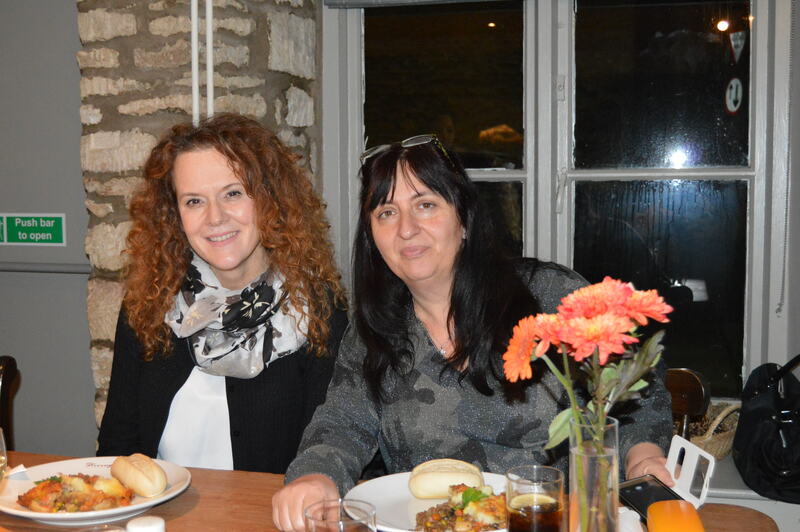 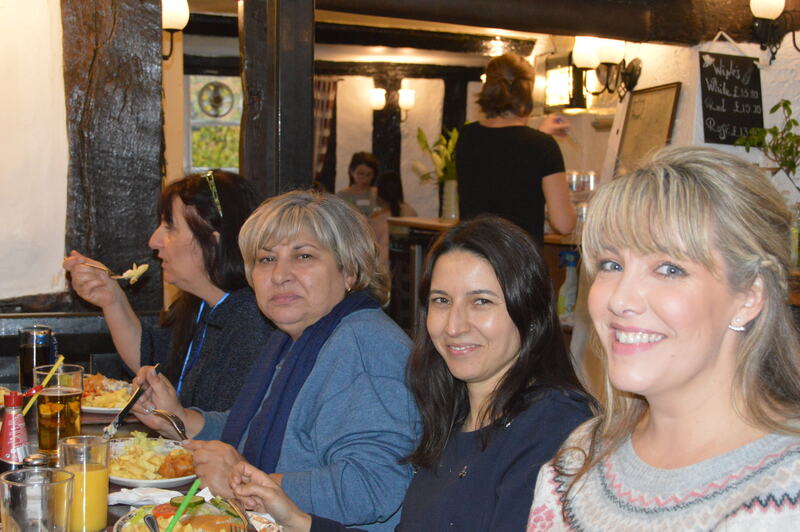 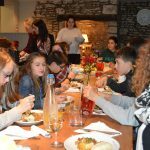 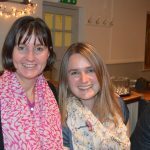 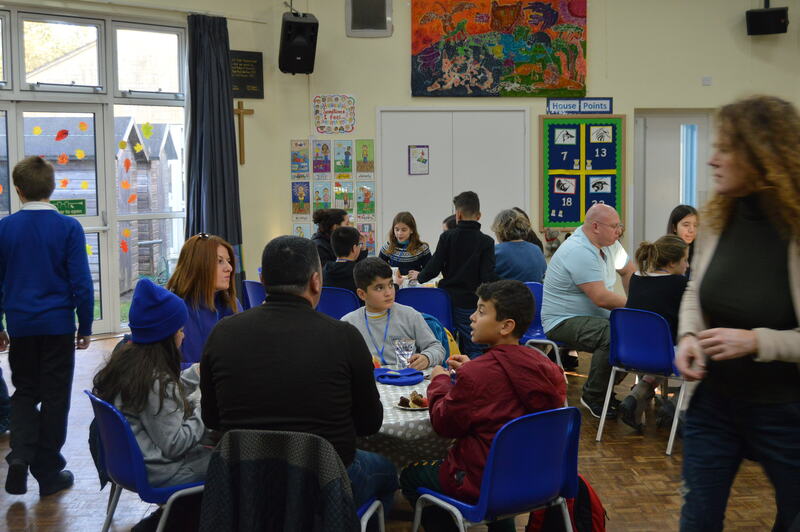 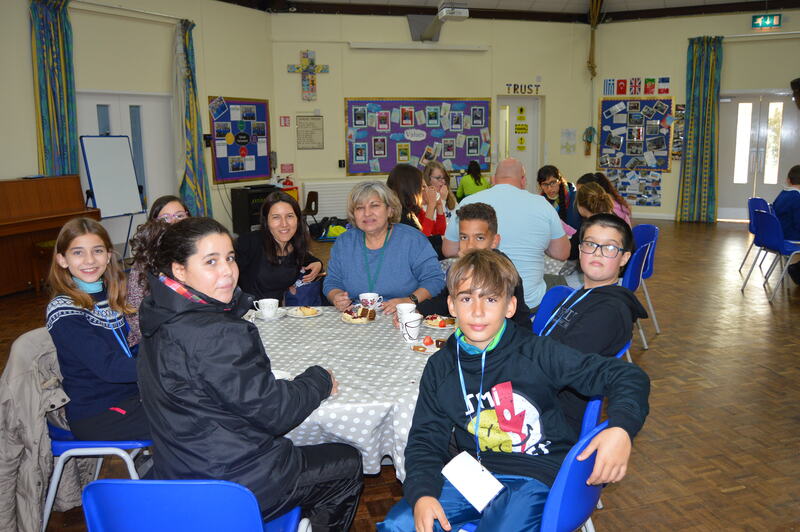 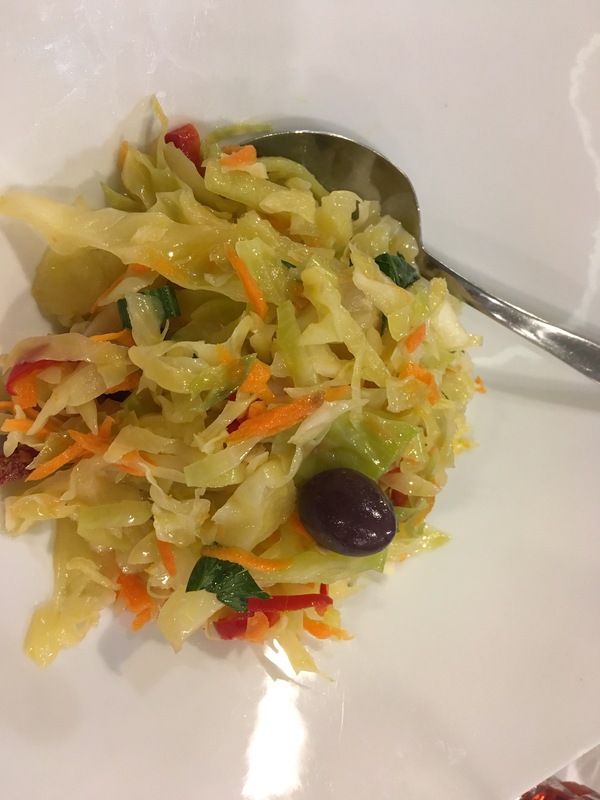 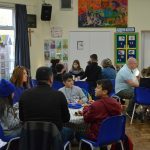 As a final celebration of the week, staff from Bussage and the children and teachers from the partnership met together for some traditional English food – a feast of cottage pie and sticky toffee pudding. 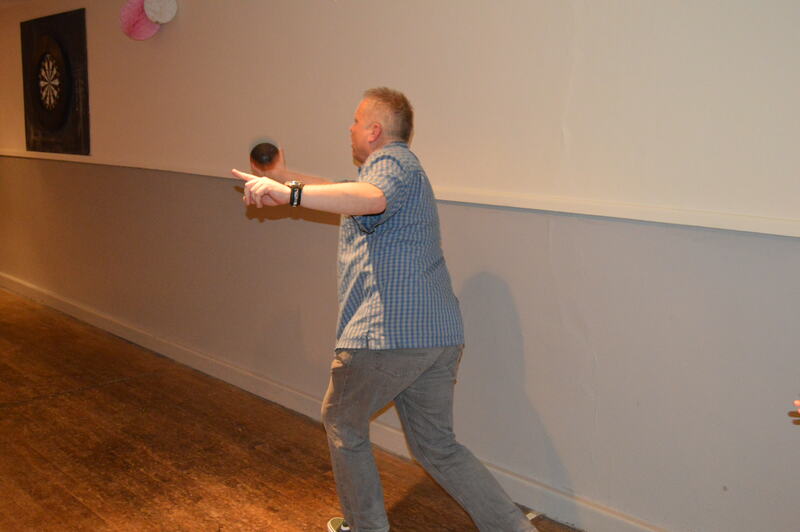 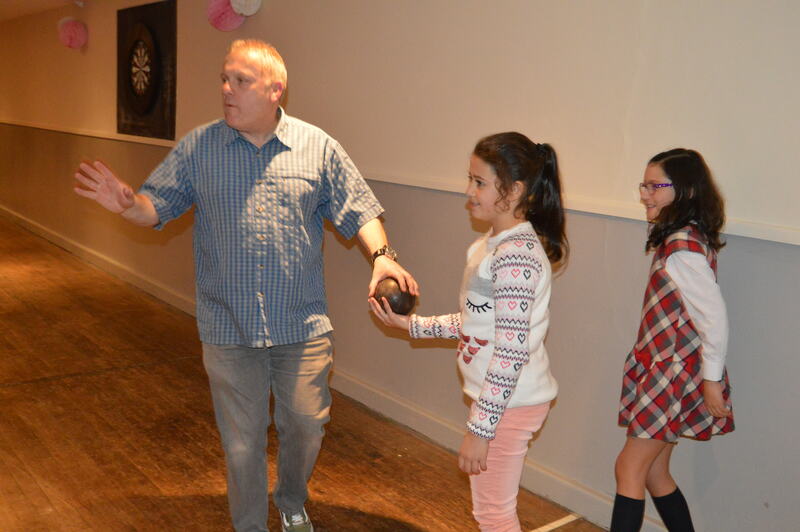 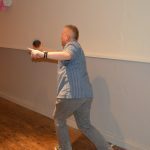 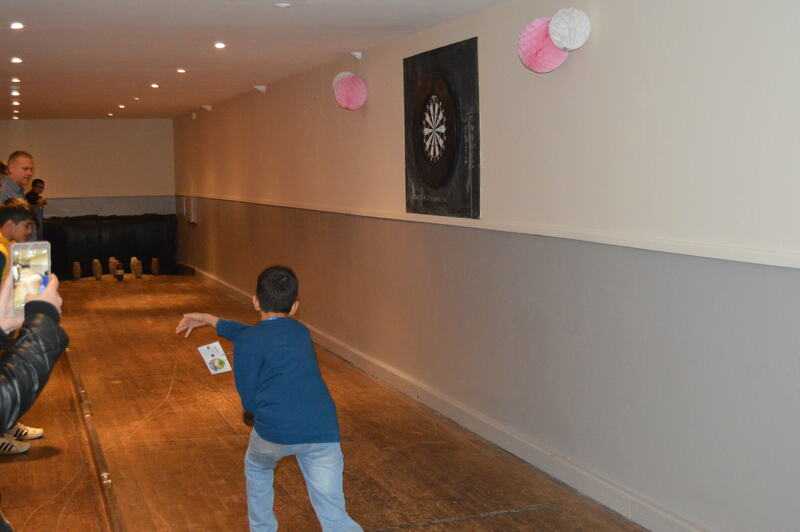 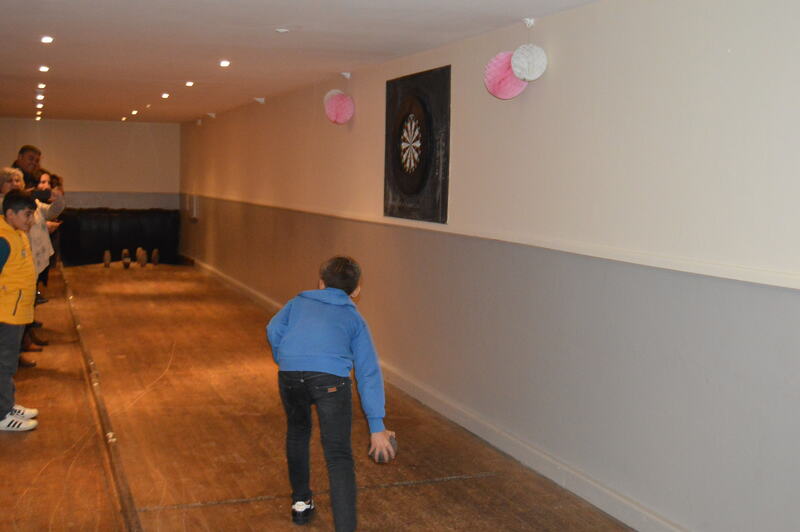 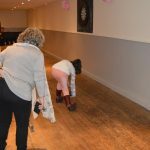 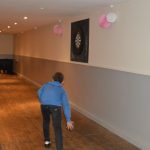 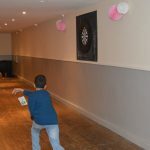 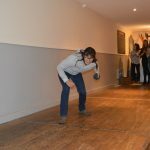 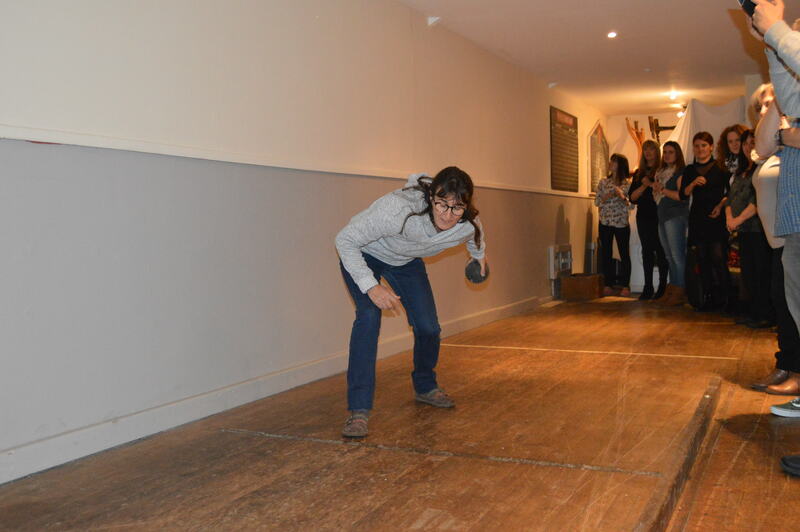 This was held at The Stirrup Cup in Bisley, after the feast, the adults and children enjoyed competing in games of skittles which were organised by Mr Ferguson – great fun was had by all and it was lovely to see such smiles on all the children’s faces as well as the support they gave each other whether they did a good bowl down the alley… or not! 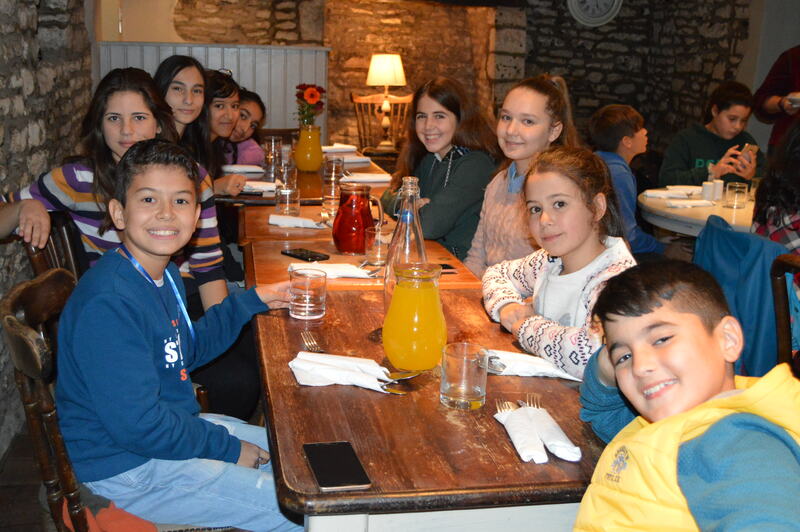 It was soon time for the evening to end and the partners to return to their accommodation in Cirencester. 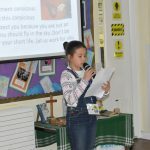 What a wonderful week. 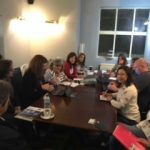 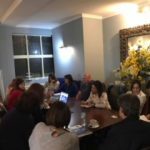 Transnational meeting in Katerini, Greece September 2017. 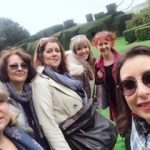 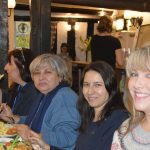 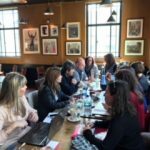 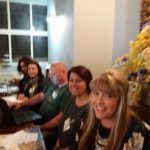 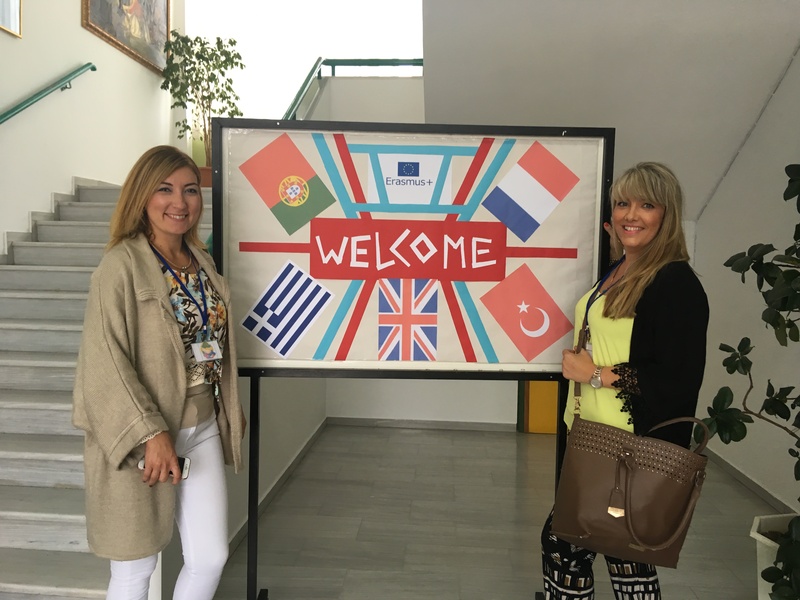 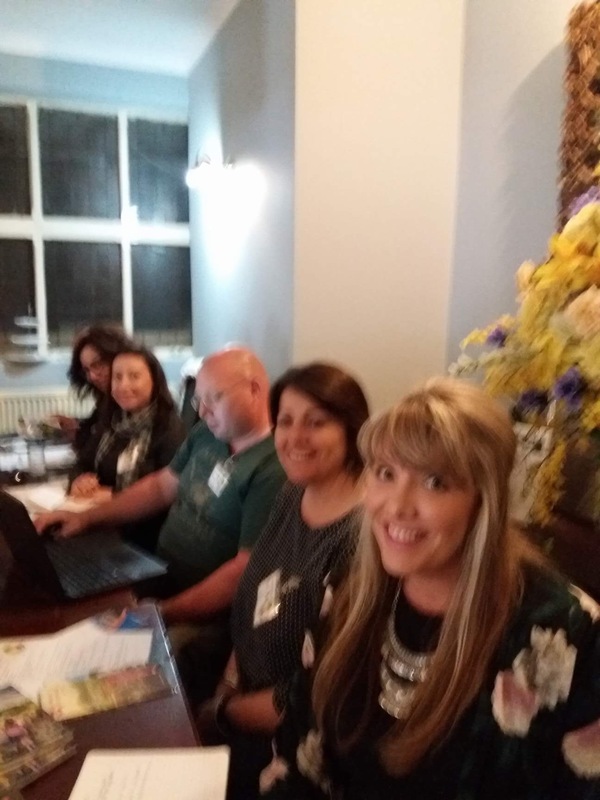 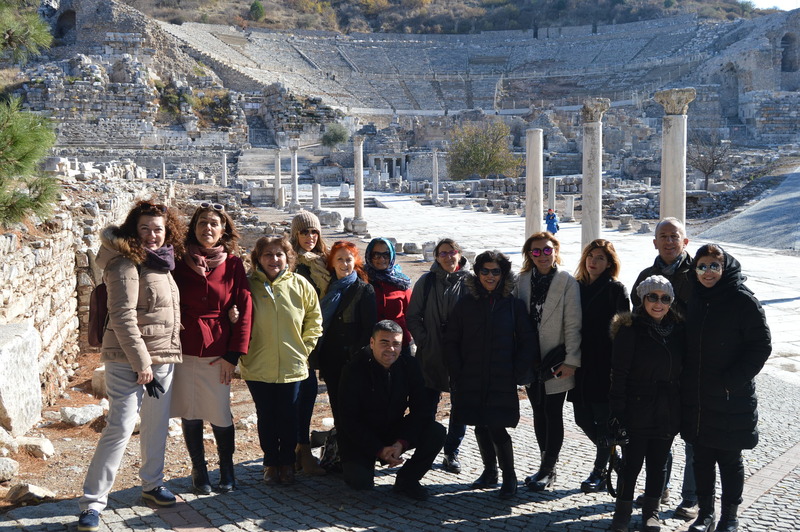 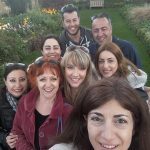 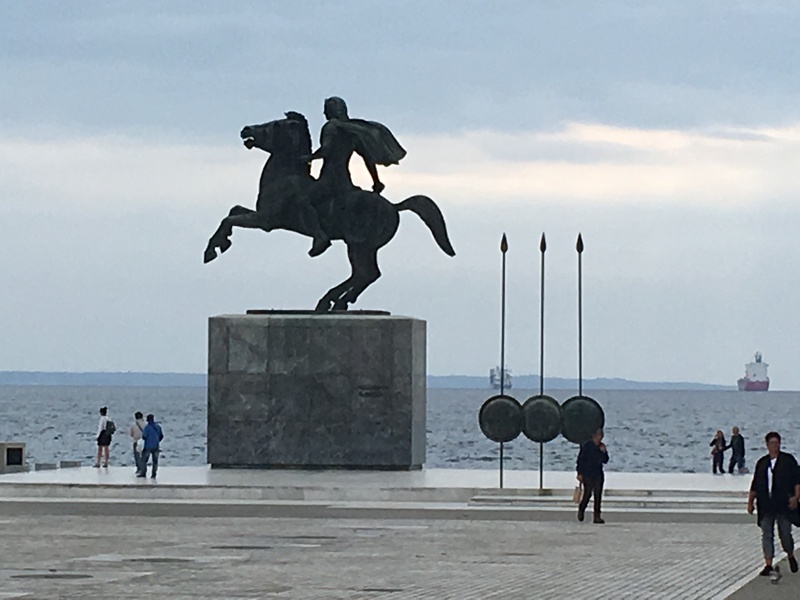 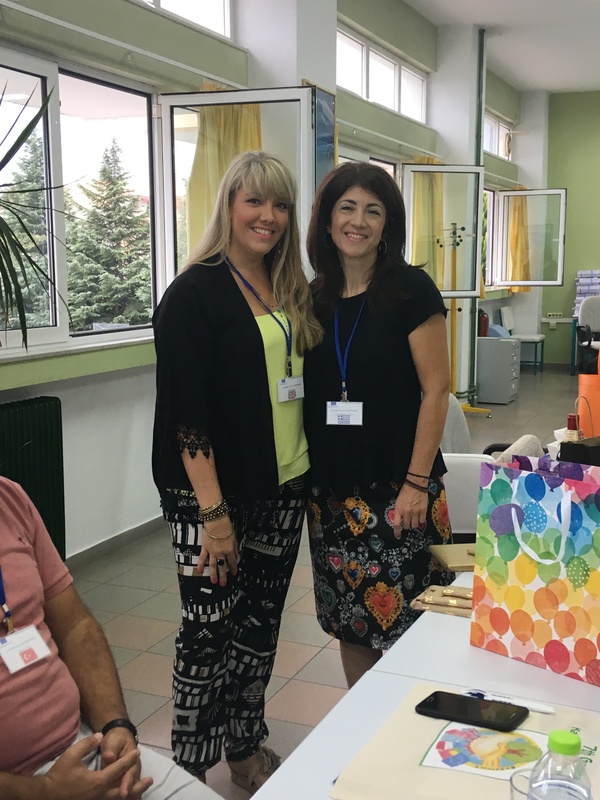 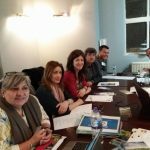 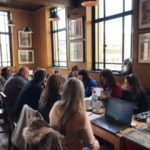 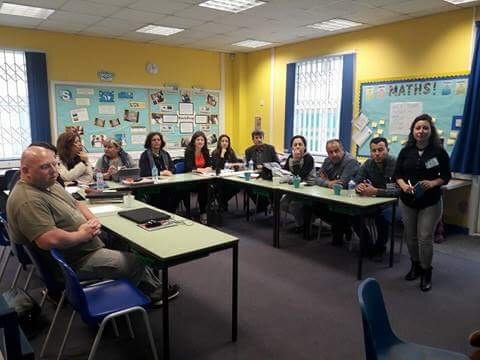 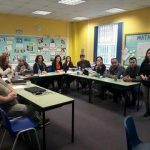 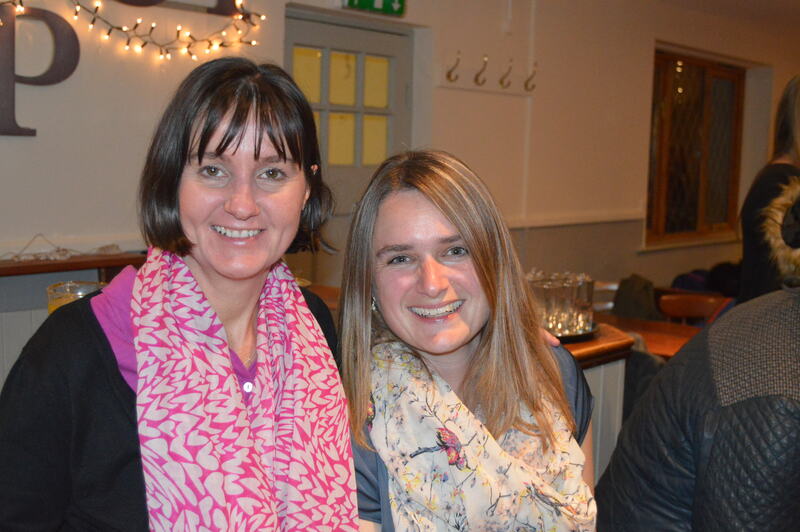 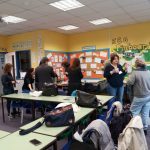 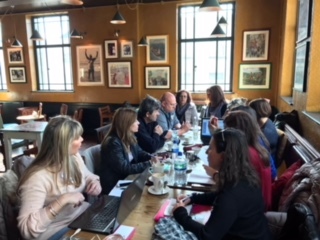 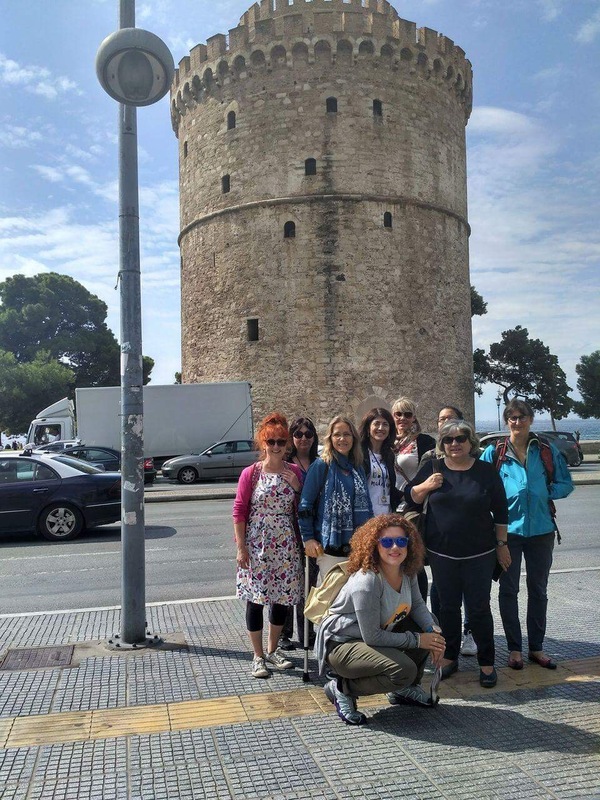 In September, Miss Corbett and Mrs White attended the next stage meeting of our Erasmus+ partnership in Greece. 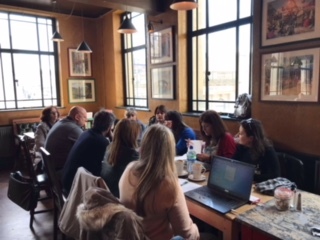 The beginning of the week was filled with lots of meetings so that we could all catch up on what each of our schools had been doing for the project. 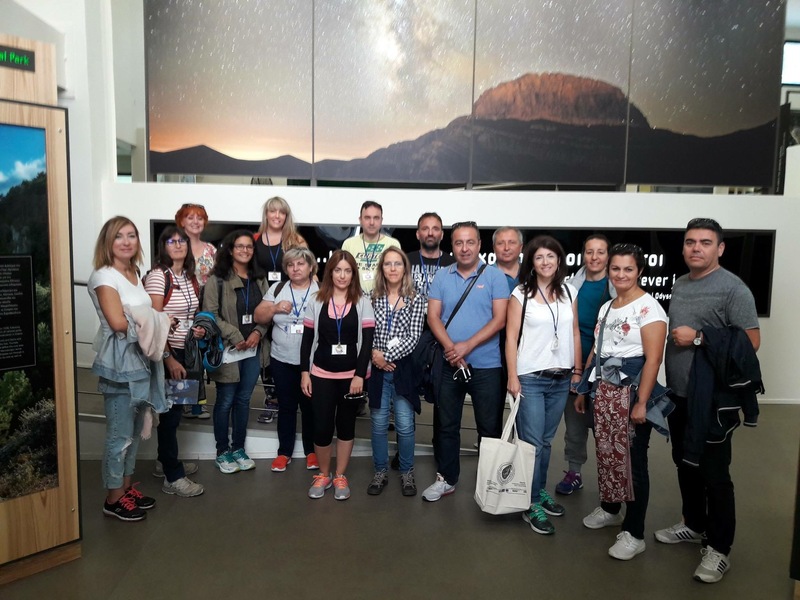 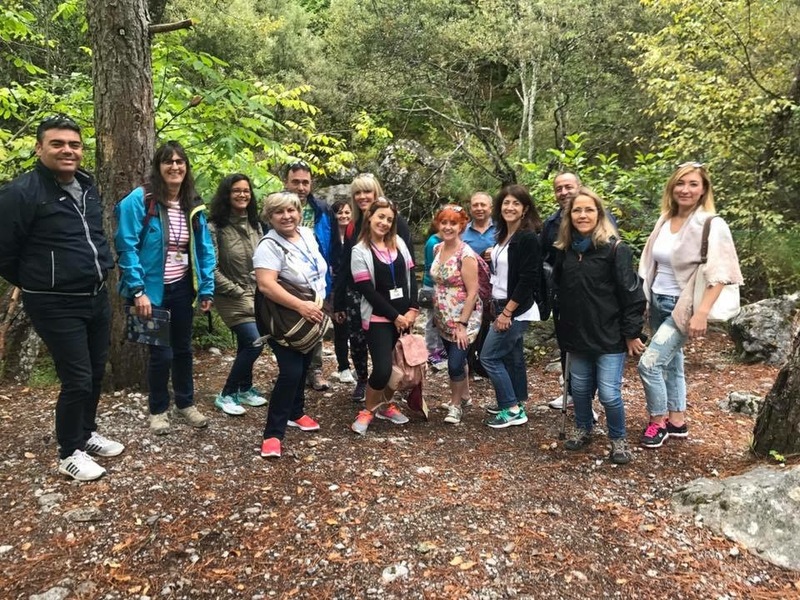 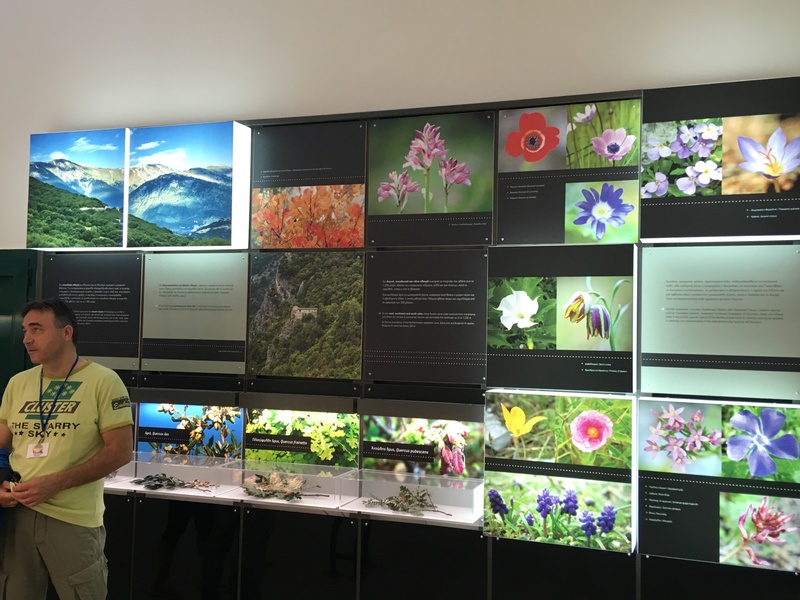 We also visited Mount Olympus, a national park, to see the local environment and to understand more about the physical geography around that area. 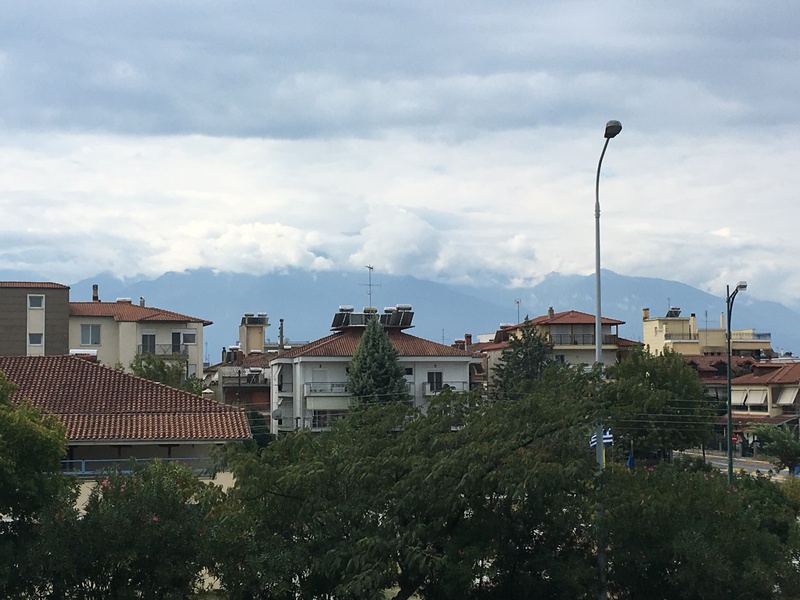 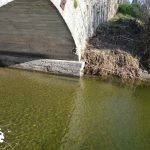 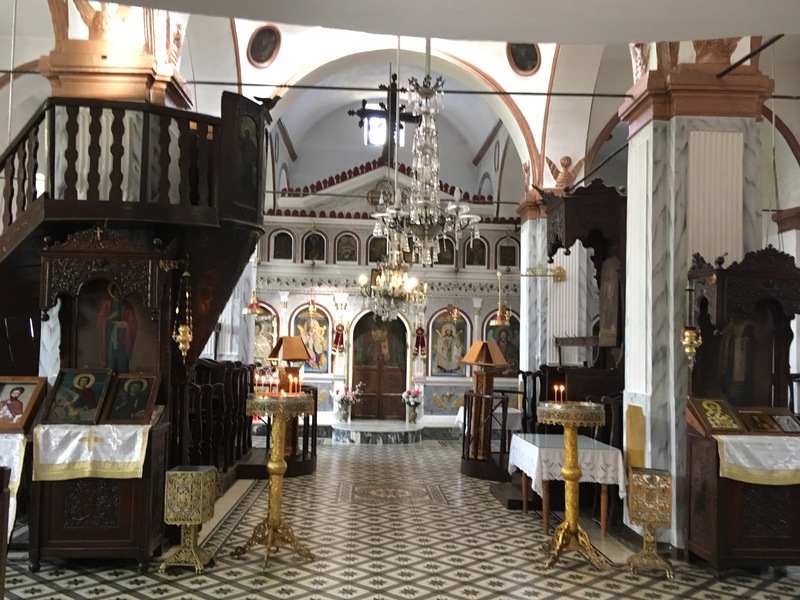 Later in the week we visited some other well known areas in the locality: Phillip 2nd of Macedon’s tomb in Vergina (Father of Alexander the Great); Thessaloniki (Main town in the region); and Paleos Panteleimon – a beautiful village high up which is only accessible on foot. 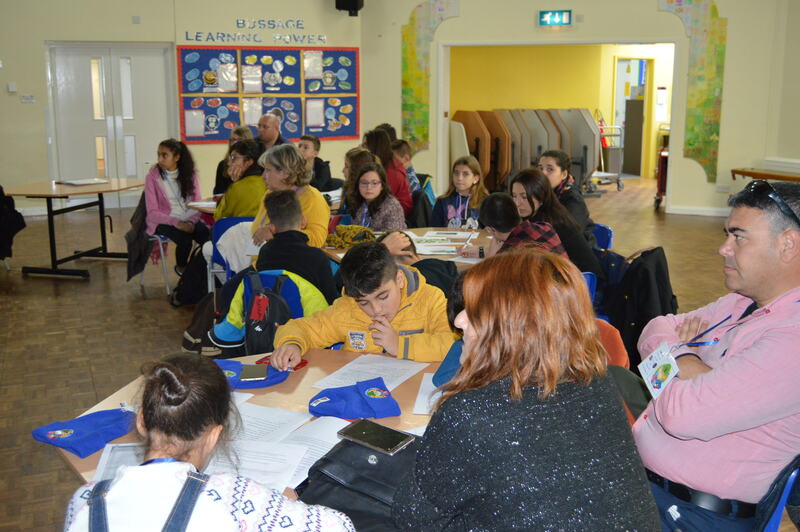 A lot of planning was done during the week to organise the rest of the tasks that children in each school need to complete, and to plan the upcoming visit to the UK by all the partners in November. 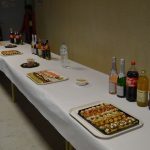 Before we knew it, it was time to celebrate a successful week and say goodbye. 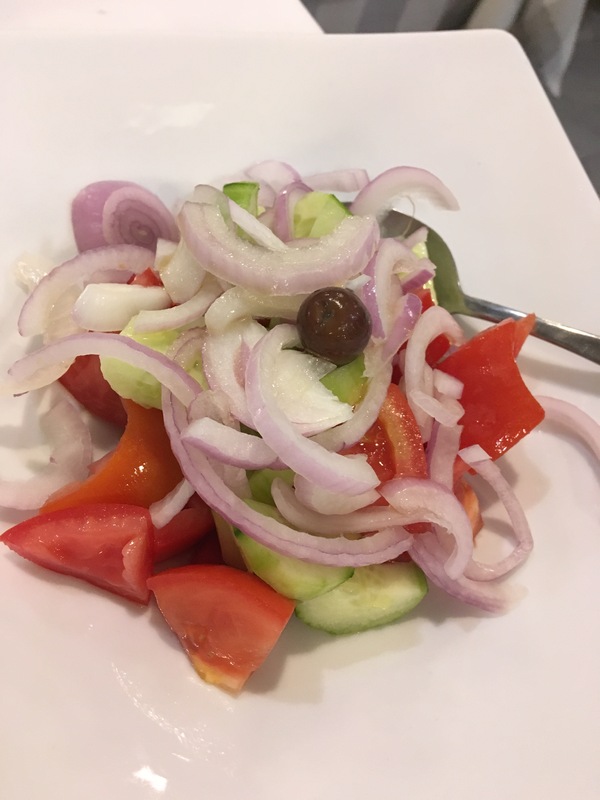 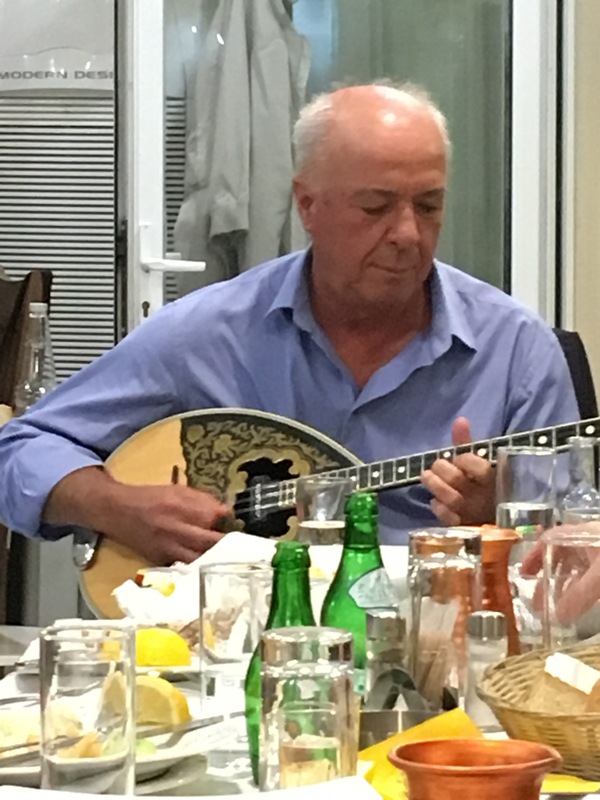 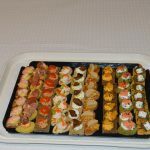 We have a lovely evening of traditional Greek music and food. 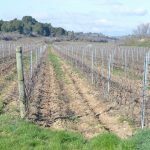 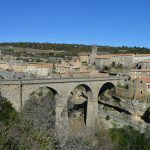 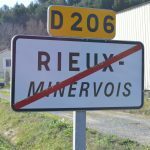 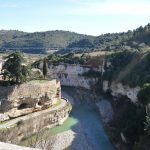 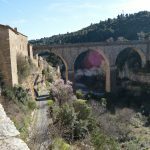 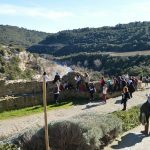 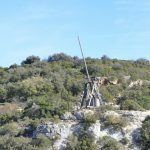 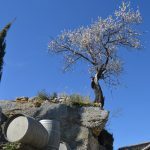 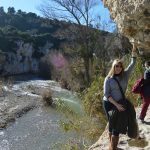 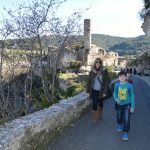 Visit to Rieux-Minervois, February 2017. 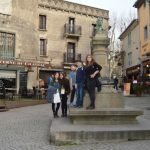 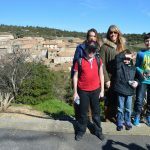 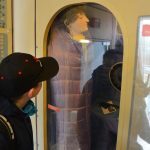 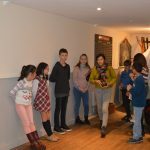 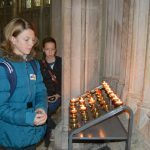 27th February 2017 Visit to Rieux-Minervois: In February, Mrs White, Mrs Edwards, Rhys, Josh and Harry set off on an exciting adventure to visit our Erasmus+ partner school, College Pierre et Marie Curie. 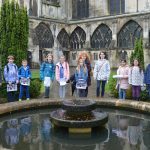 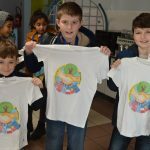 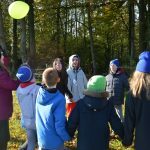 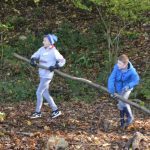 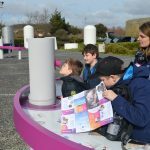 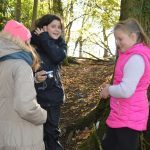 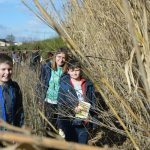 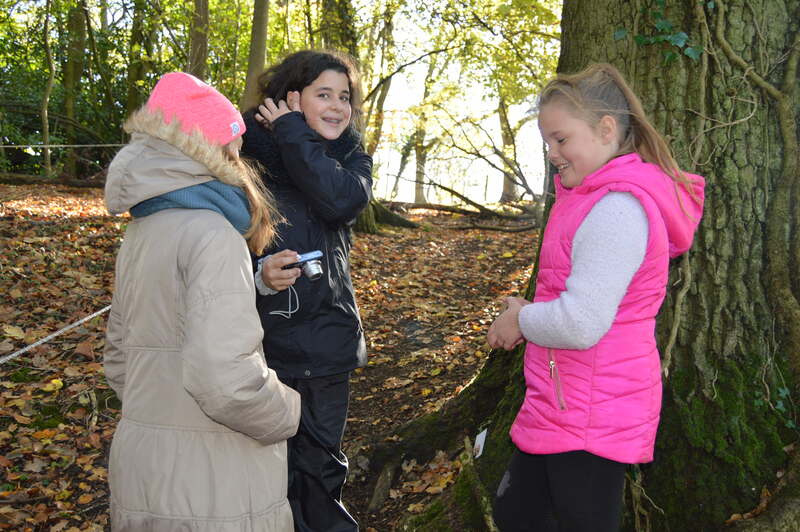 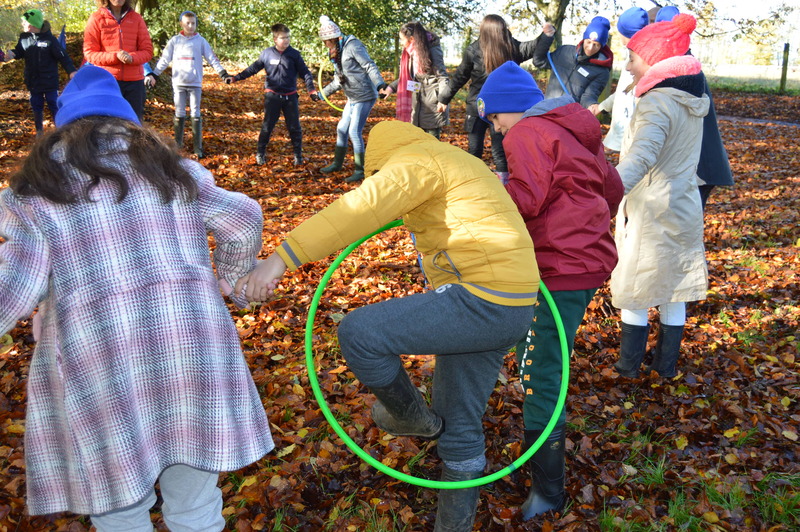 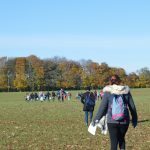 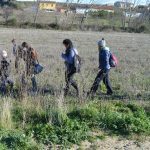 Whilst they were all looking forward to exploring the local environment around the school and finding out about how the French school learn about ecology and maintaining the environment, they also knew they had a very important job to do – representing Bussage Primary and the learning that is done there. 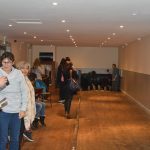 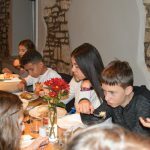 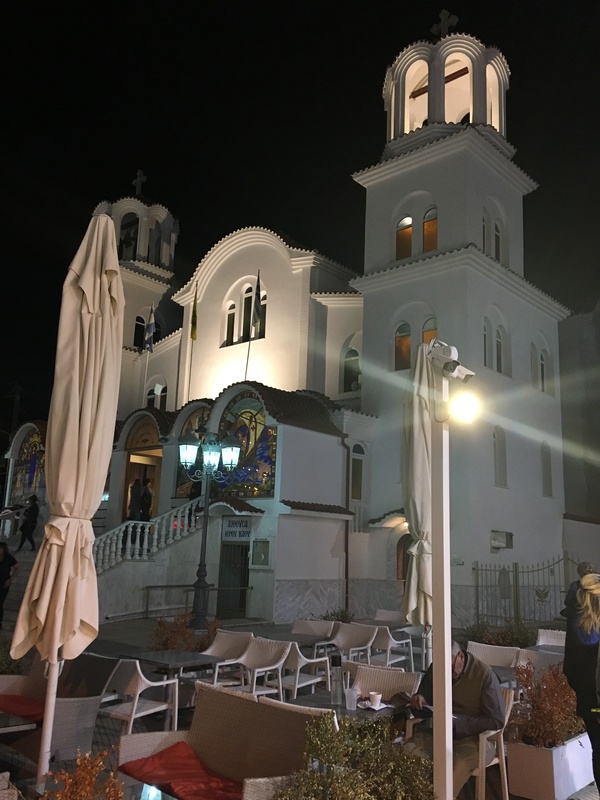 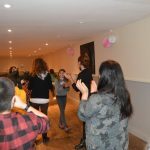 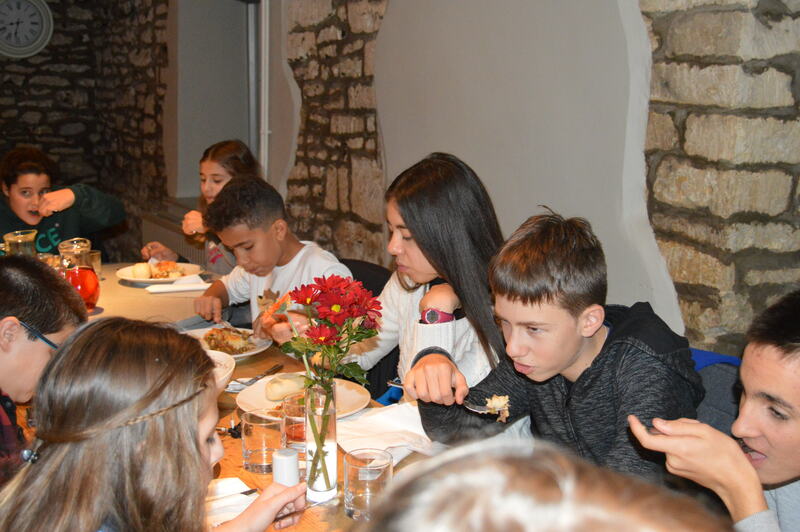 After a very tiring day travelling (involving a broken plane and a 5 hour delay), the travellers finally reached their destination having shared a coach with children and staff from partner schools in Turkey and Greece; whilst on the coach the children began to make friends with the other visitors. 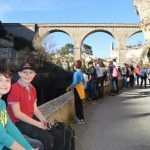 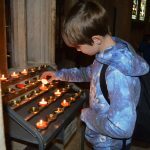 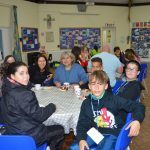 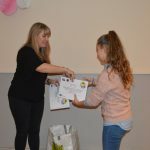 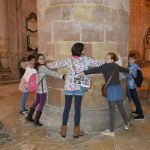 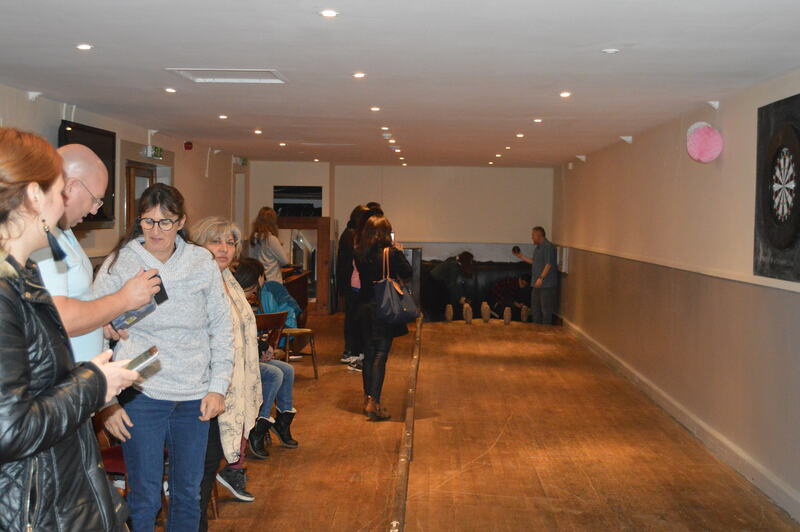 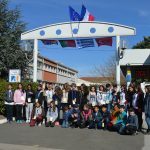 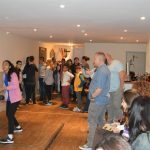 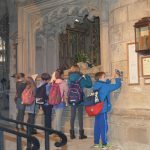 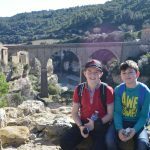 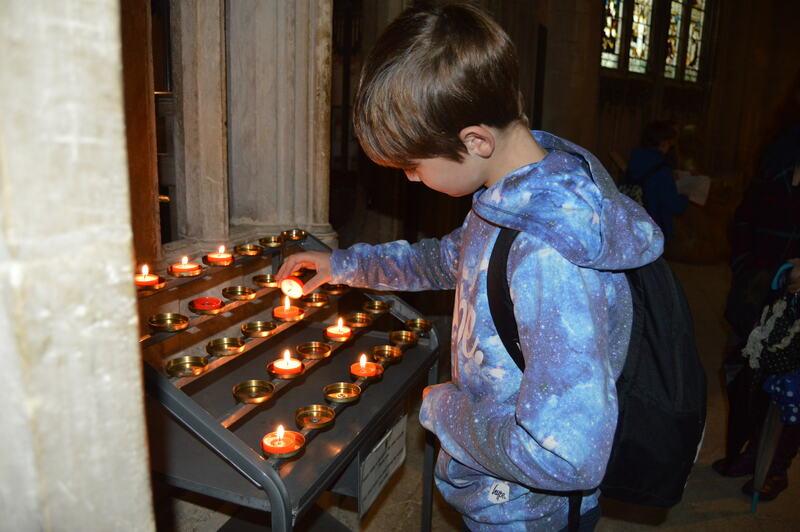 Although they didn’t arrive at Lezignan-Corbieres until 1 am, they were all up early for breakfast before setting off on the 25 minutes coach journey to Rieux – Minervois and the school which would be their base for the week. 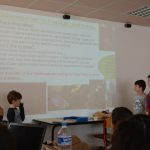 Rhys, Josh and Harry were extremely confident and professional when, not long after arrival, they had to present a power point to the whole of the congregated Erasmus+ group of teachers and students; many of the students were secondary school age which made the Bussage Boy’s confidence even more admirable. 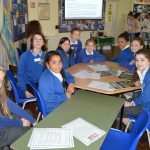 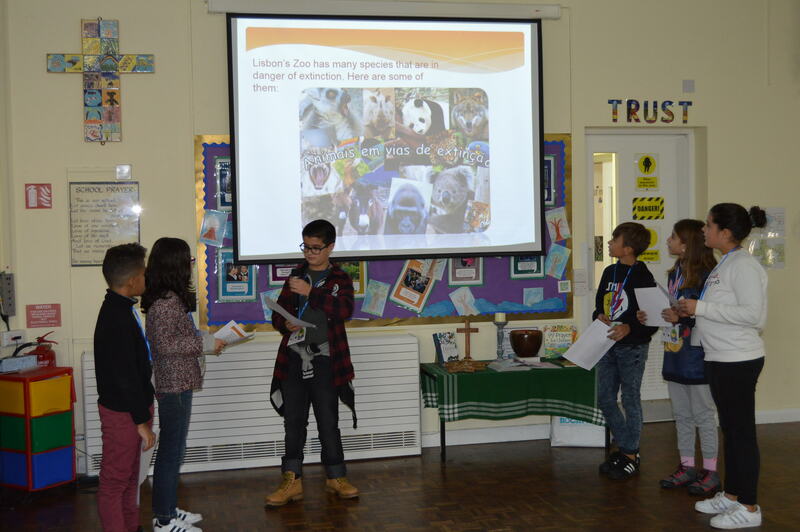 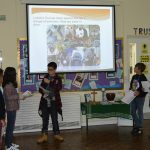 Back at school in the UK, the Year 5 & 6 class had spent a term learning about the rainforest and the devastating effects of deforestation on the world – this is what they presented to their captive audience. 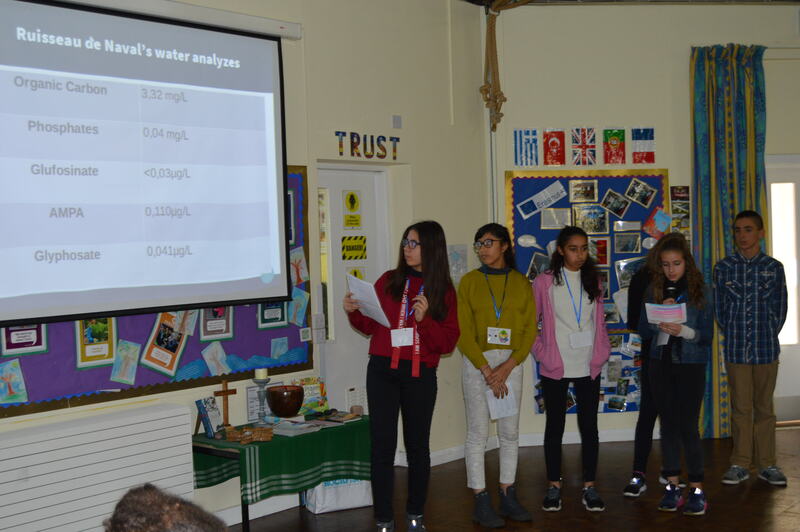 The partners for Portugal presented to us about pollution and conservation of the river where they live in Lisbon; the French partners presented about the two rivers in their locality, looking at how and why one of them is terribly polluted (the visitor were able to see these environmental issues for themselves later in the week on a field trip); the Turkish partners described the plight of certain creatures in their home locality, especially that of butterflies and turtles; and the Greek partners shared with the group about soil erosion and how some creatures such as the black rhino are becoming endangered and risk extinction. 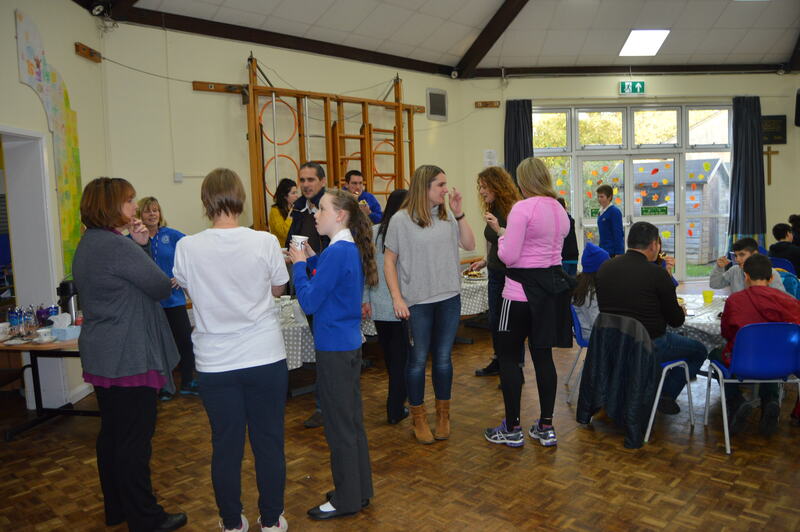 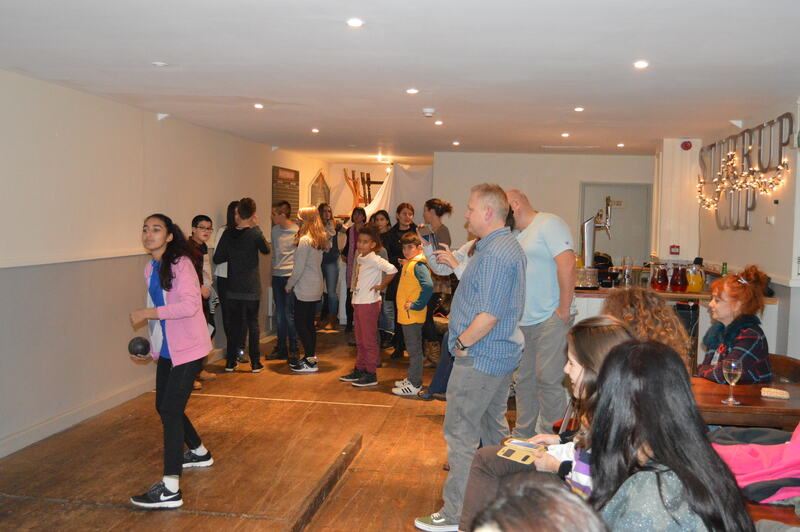 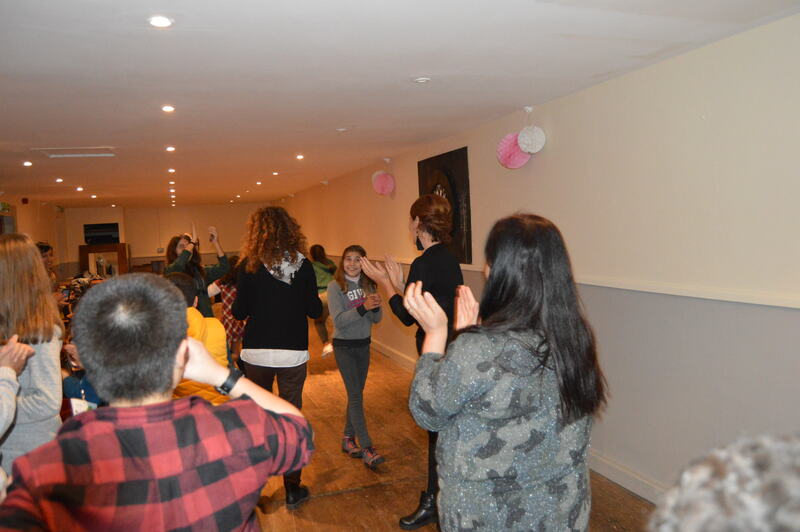 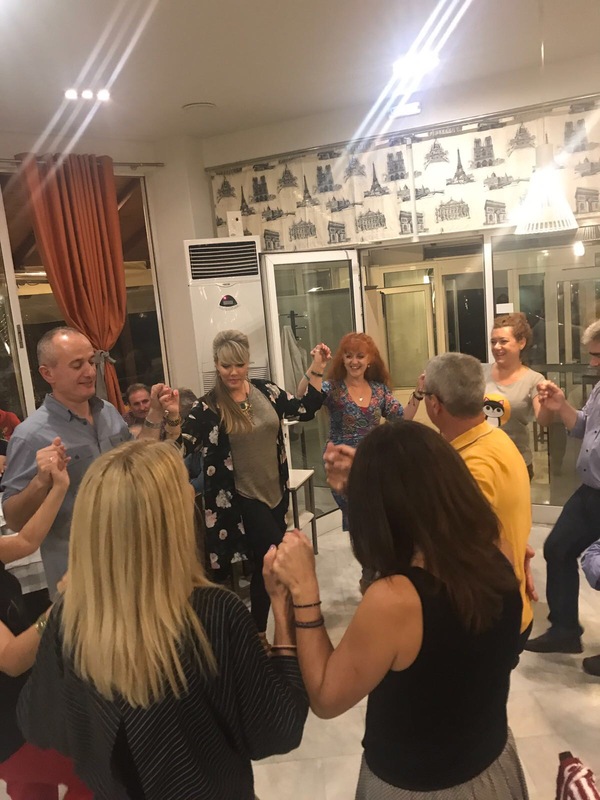 When not working on the linked environment project, the children and staff had time to socialise, getting to know each other and asking lots of questions about the similarities and differences between schools in each of the countries. 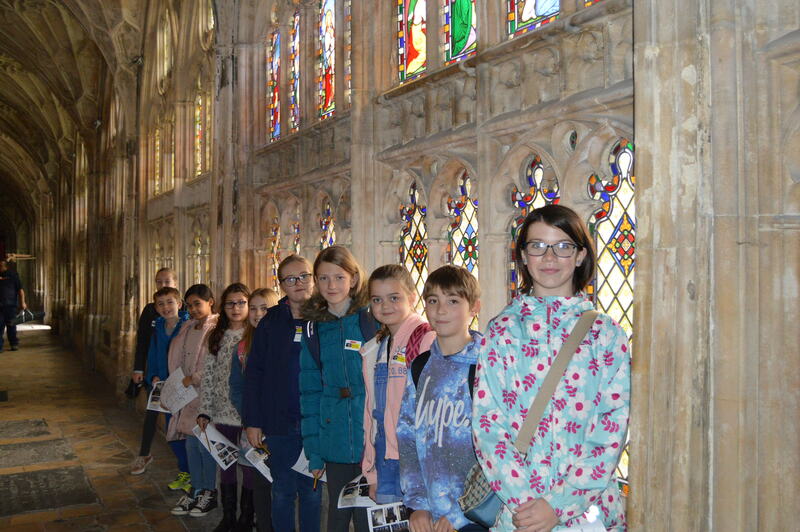 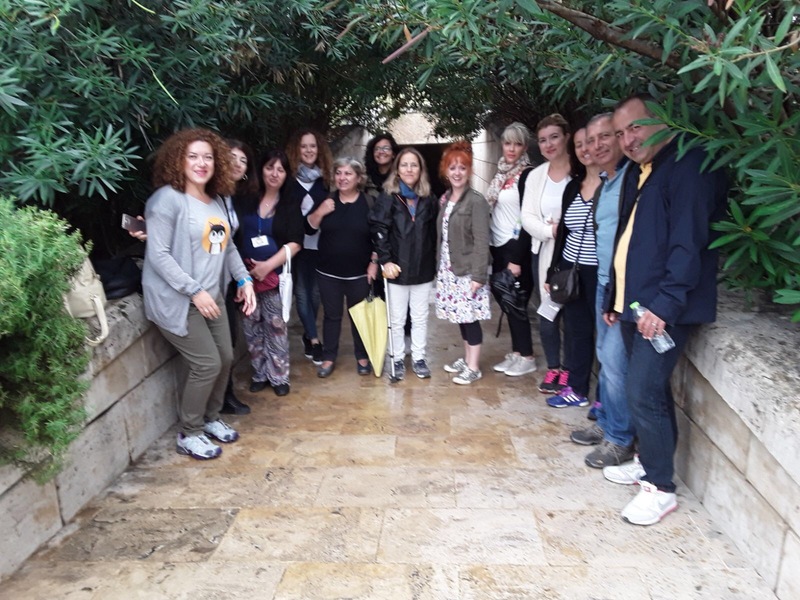 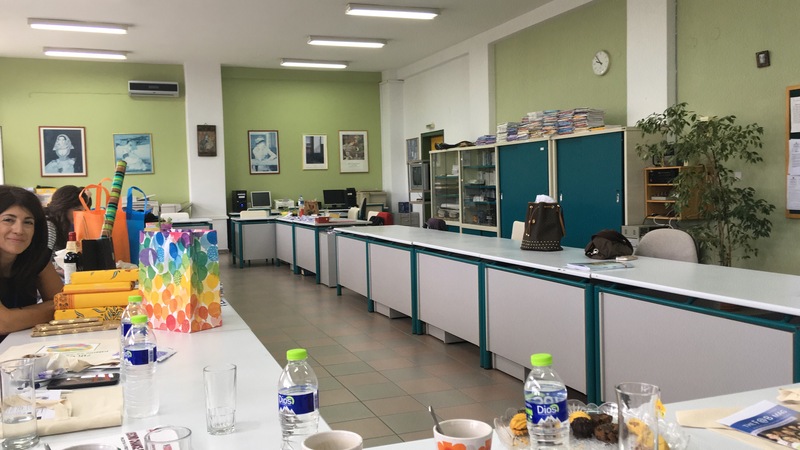 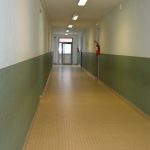 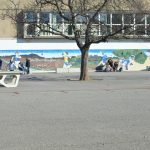 The children and teachers had the opportunity to tour around the school and its grounds and noted huge differences in the way in which the schools operated in timetable and in how the buildings looked. 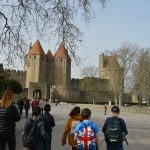 The french children were very welcoming and friendly; Rhys, Josh and Harry said that making new friends was one of their highlights of the trip! 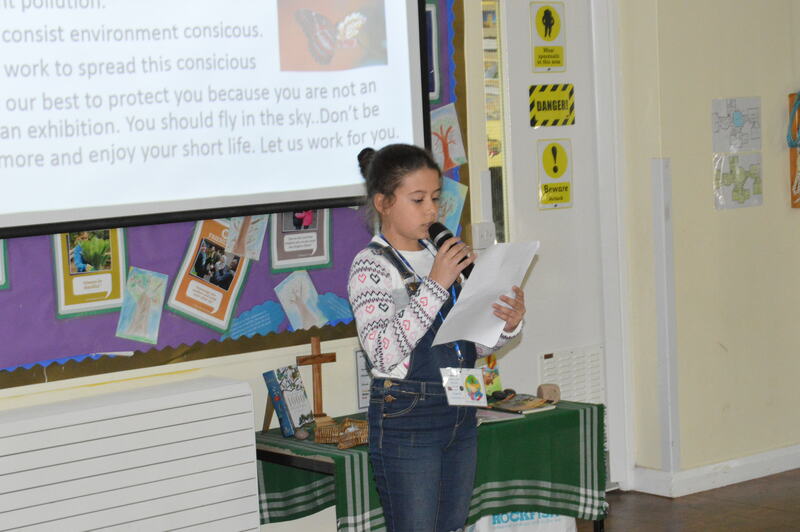 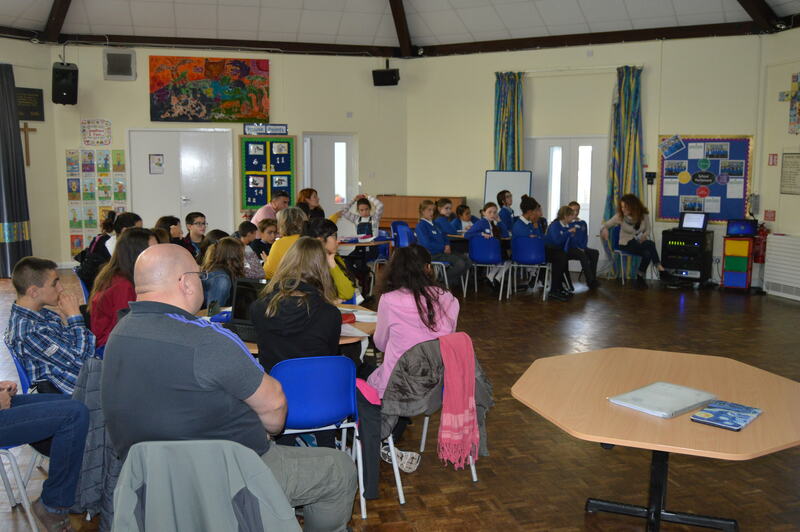 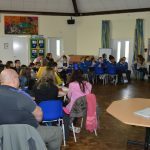 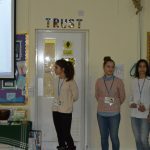 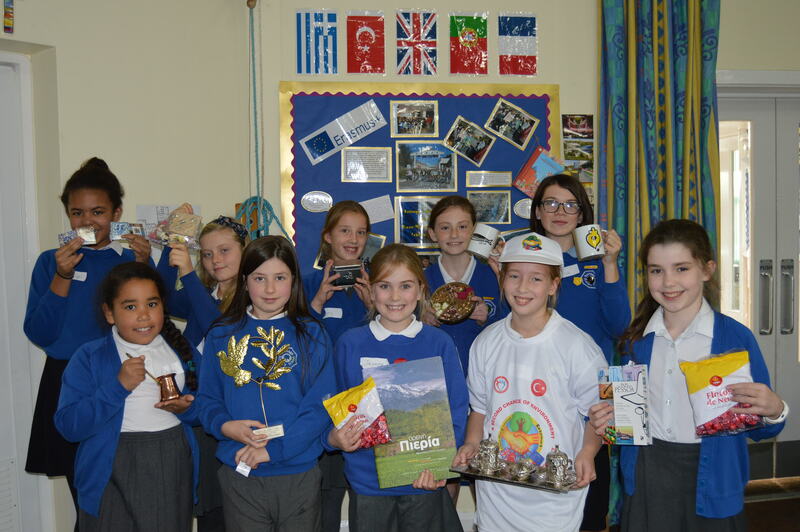 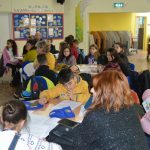 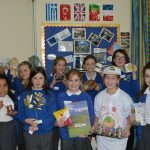 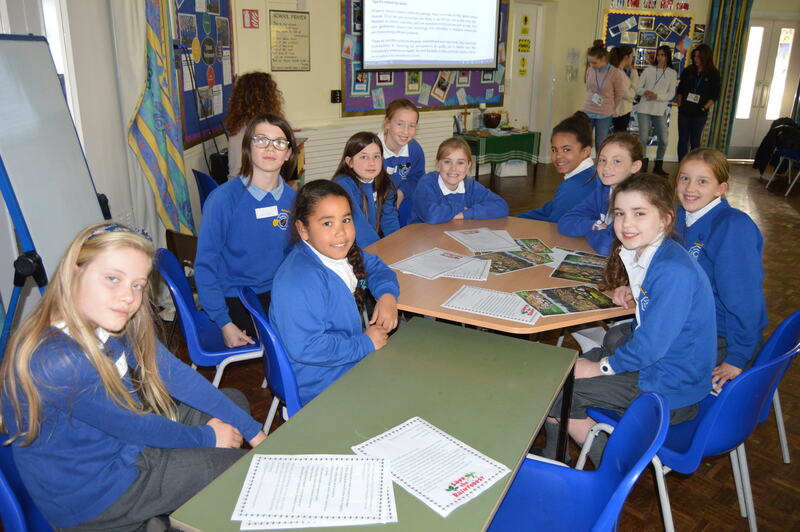 As the new theme for Year 5 & 6 was Ancient Greece, the Greek partners warmly invited the Bussage children to come and interview them all about their knowledge of Ancient Greece – their ideas and thoughts were really interesting to hear! 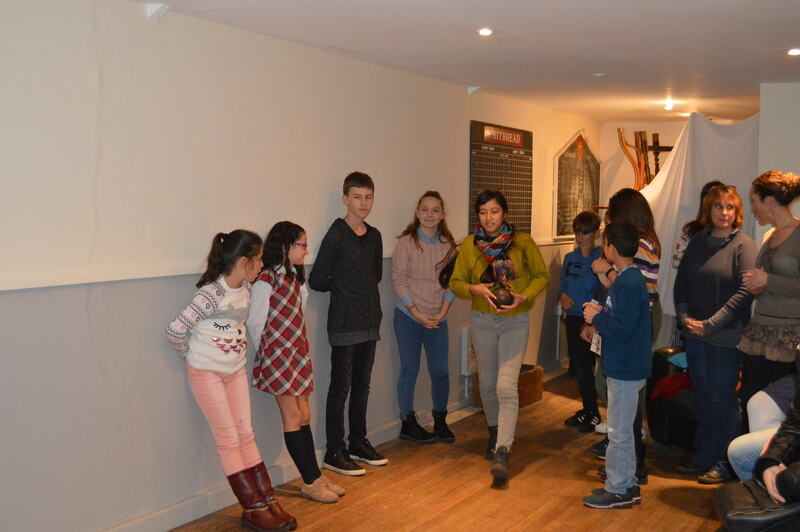 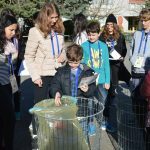 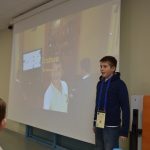 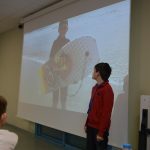 Other tasks performed by the children were waste sorting, a field trip around the locality marking geographical features on a map and looking at the polluted river sited in the French schools presentation. 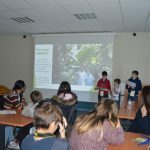 Rhy, Josh and Harry even went into some of the normal French classes to tell the children about the work that had been studied on rainforests back at Bussage. 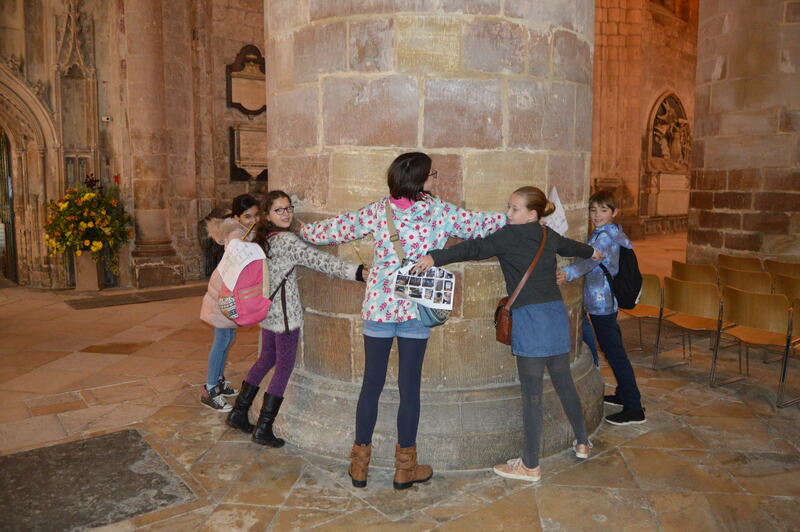 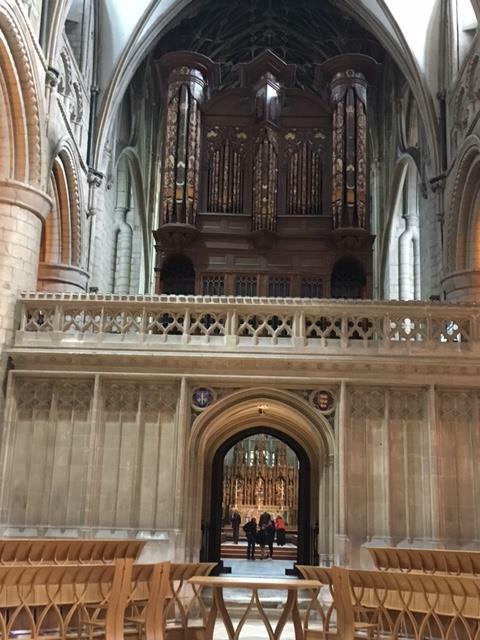 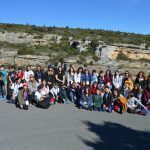 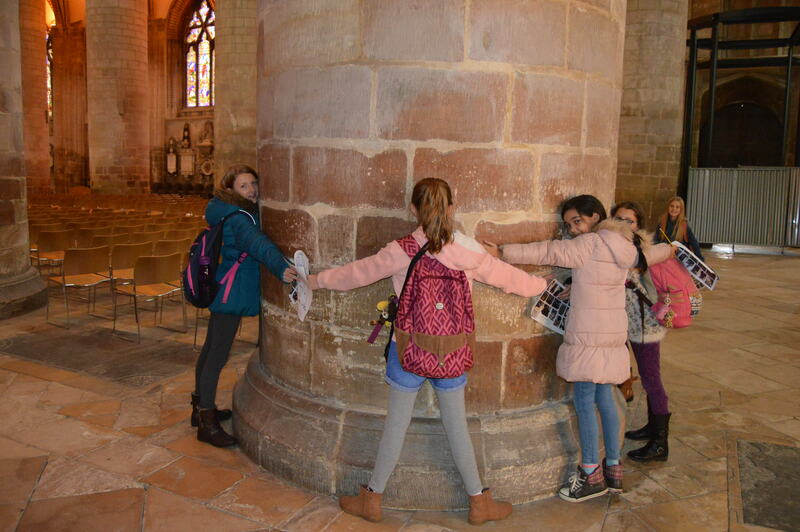 The Erasmus+ group were also very lucky to have the opportunity to explore further afield during their time in France, visiting two picturesque locations that were rich in history: Minerve and Carcasonne. 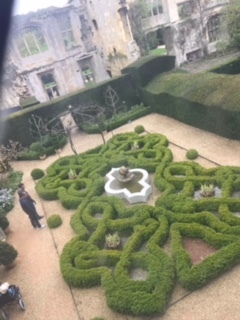 The places were stunning. 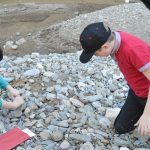 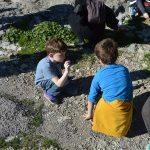 Whilst at Minerve, the children were able to explore the rock formations, looking for fossils. 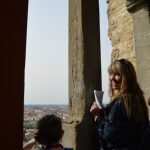 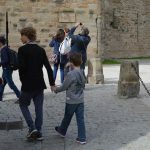 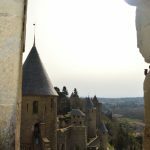 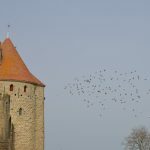 In Carcasonne, they followed audio guides around the fairytale-style castle learning all about the history of the area right back to Roman times. 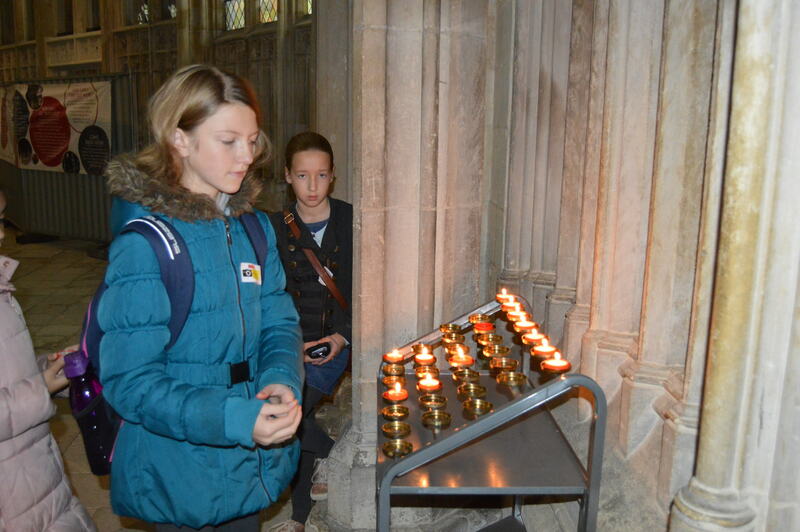 Sadly before they knew it, the week had come to an end. 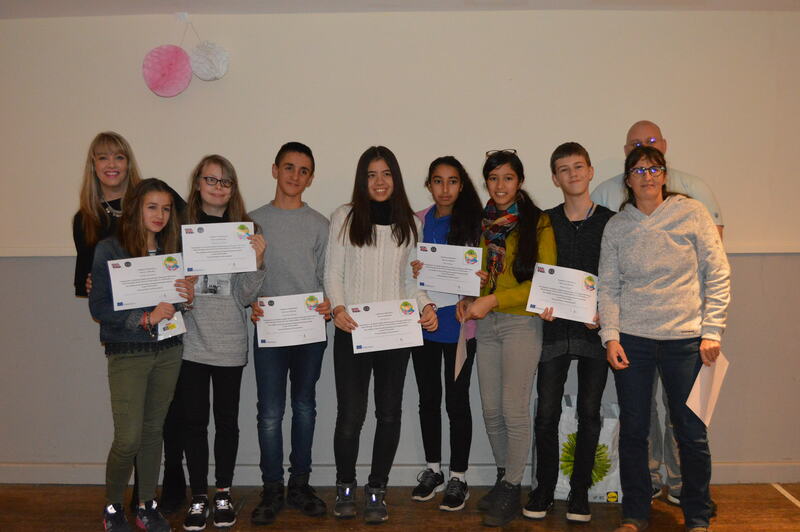 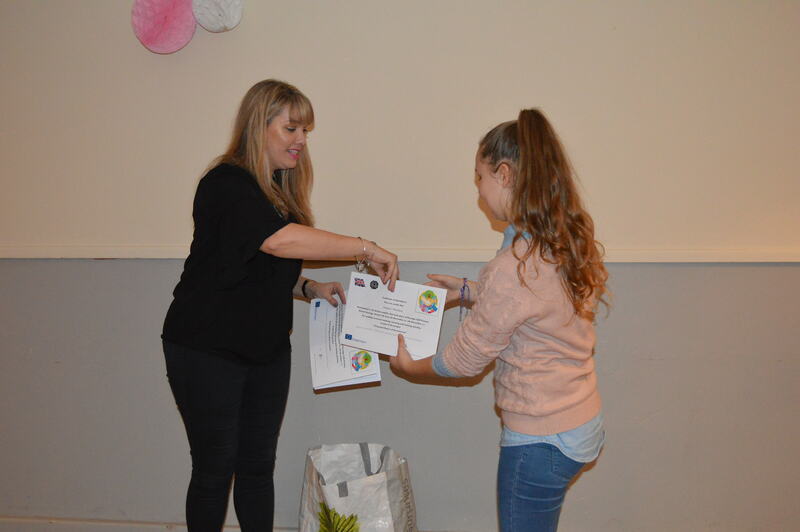 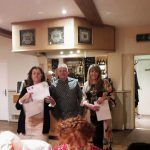 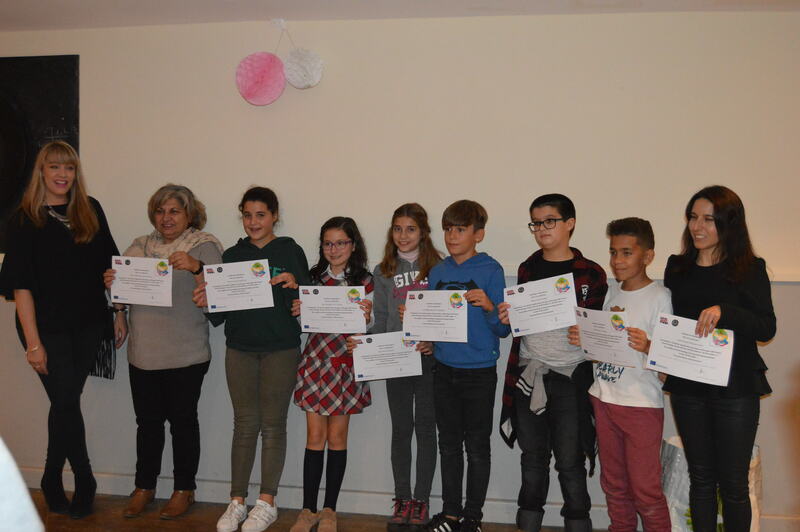 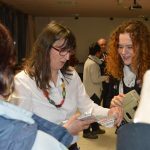 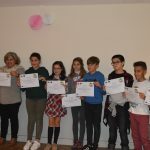 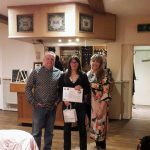 The coming together of the partnership was celebrated by an evening reception at the school where the Mayor was invited showing how important the international links are not only to the partner schools but to their local community in France too. 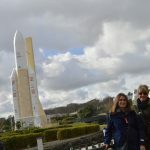 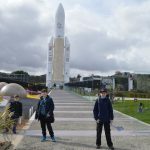 The final day was spent in the area of Toulouse where a fabulous museum called L’espace de le Cite was visited: this was a space museum where the children were able to explore a replica of the Mir space station, see an actual rocket that had been to space and learn all about space exploration as well as pollution in space! 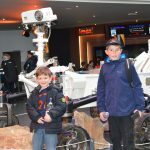 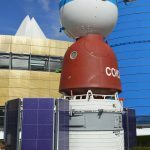 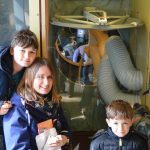 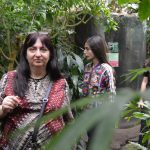 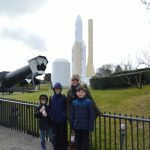 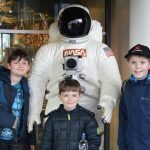 The visit ended with a trip into the planetarium on site – it was fantastic, the visitors really felt as though they were up amongst the stars! 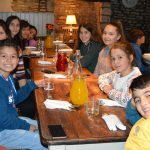 After saying goodbye to all their new friends, the party from Bussage headed back to the airport to make the long journey home full with happy memories and new experiences ready to share with their friends and teachers back at school. 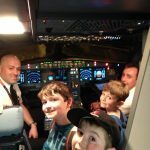 They were even lucky enough to be invited into the cockpit by the pilot as they boarded the plane to return to the UK! 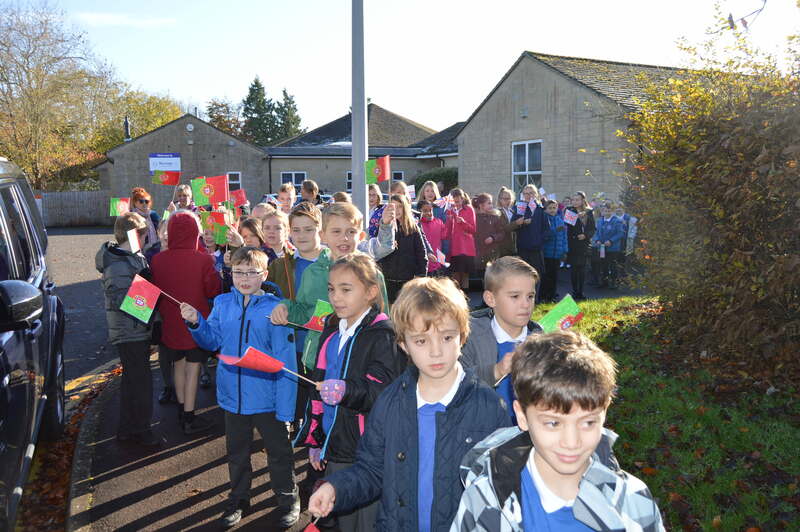 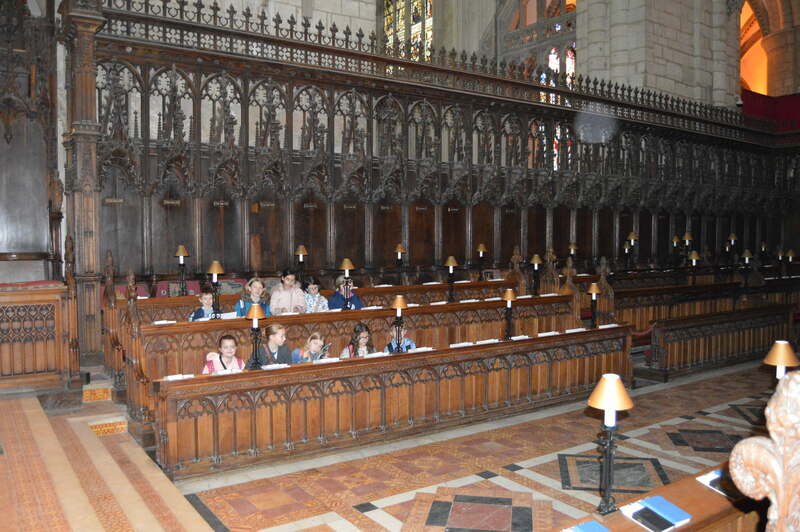 A wonderful time was had by all and Rhys, Josh and Harry did Bussage proud as the school’s ambassadors. 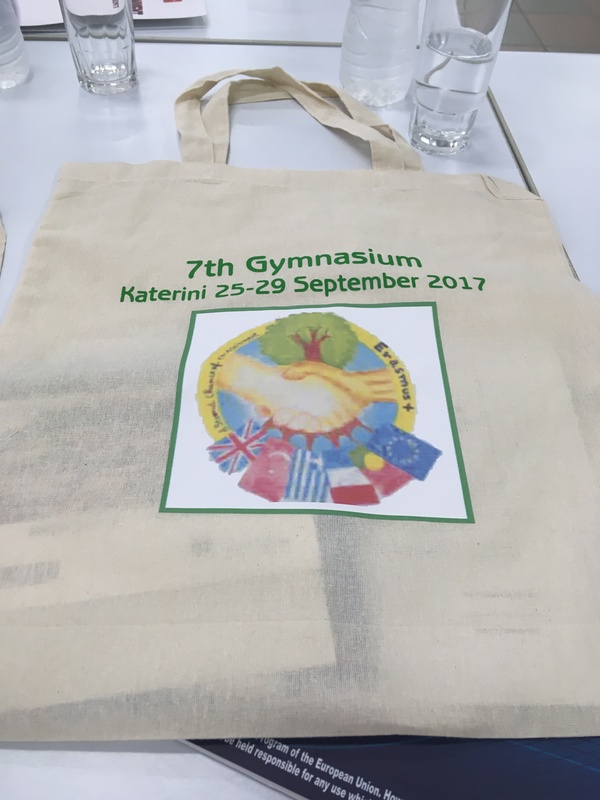 Keep any eye on this page for the next update which will be from the September meeting in Katerini, Greece. 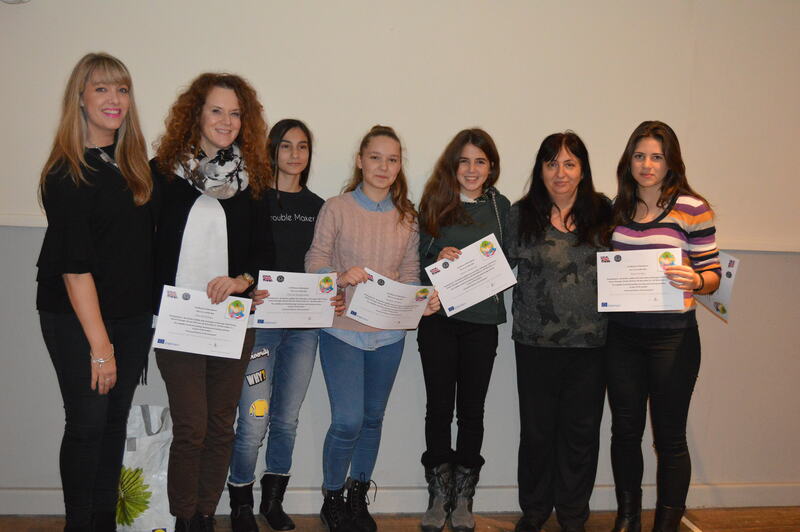 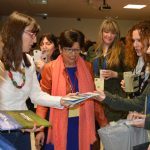 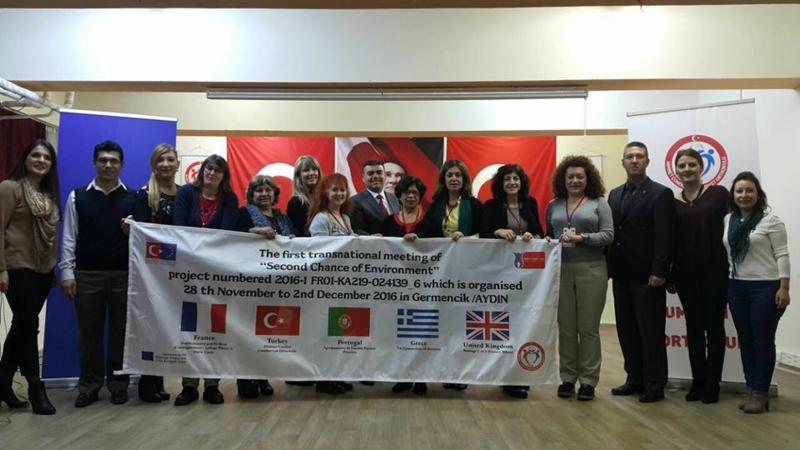 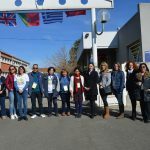 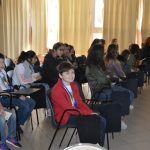 9th January 2017 For the next two years, our school has entered into an exciting partnership with schools from Turkey, Portugal, Greece and France to work on a project named, ‘Second Chance of Environment’. 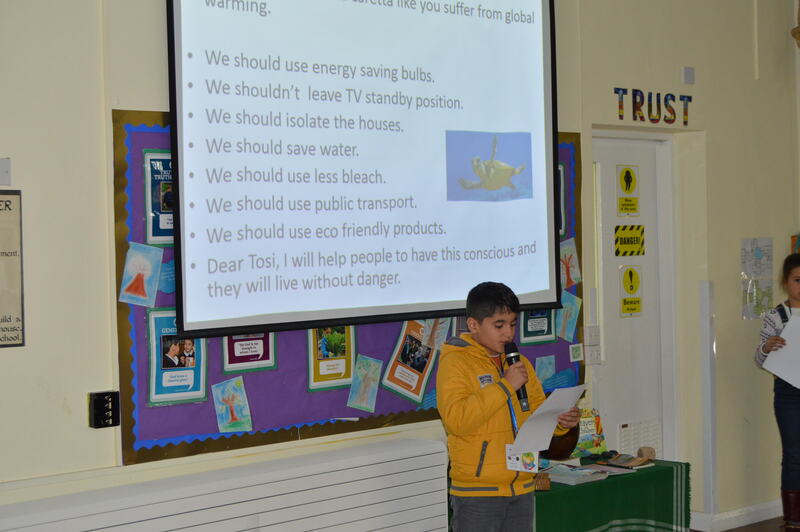 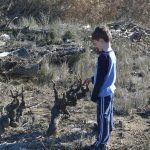 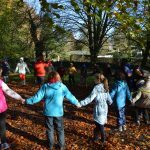 During this project the children at our school, along with the adults, will have the opportunity to forge links with children at our partner schools whilst learning all about ways of helping our environment. 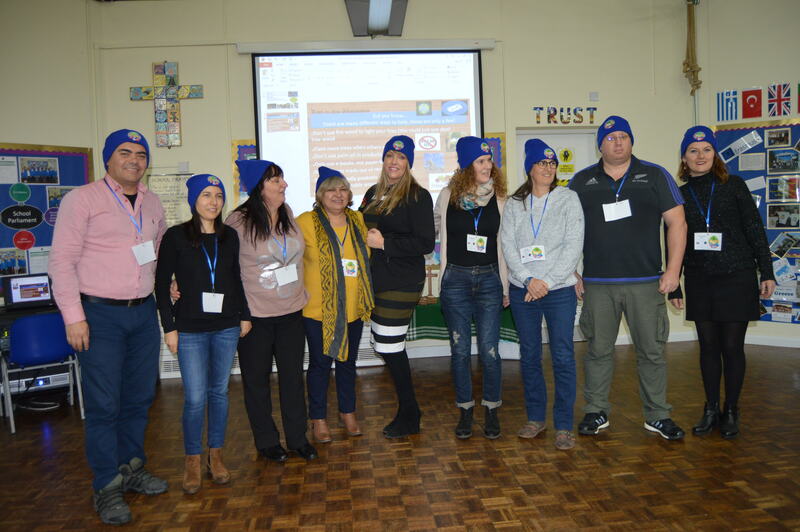 We will be working together closely across our five nations on a variety of tasks, some of which will see staff and children embark on journeys to visit other schools in the partnership! 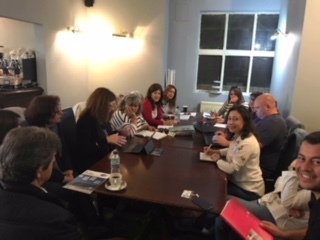 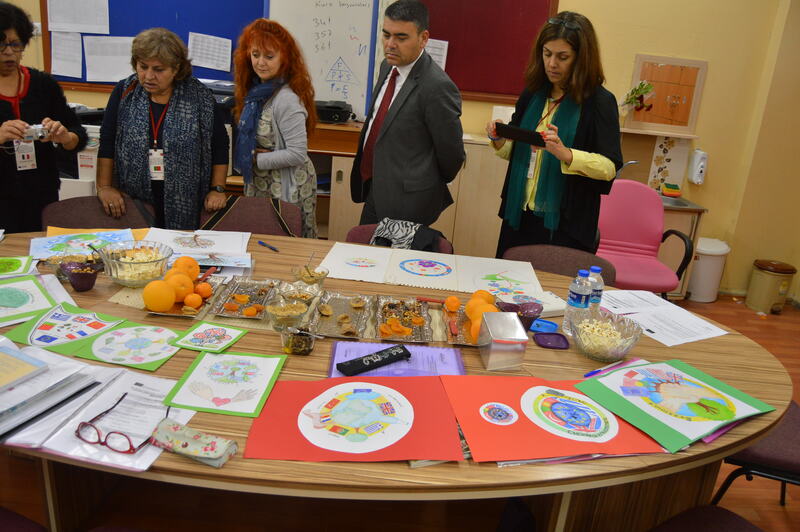 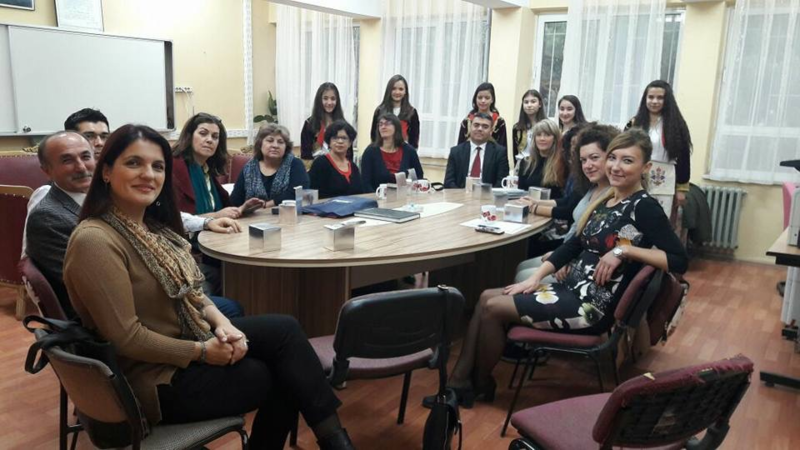 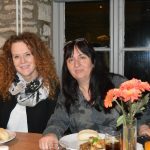 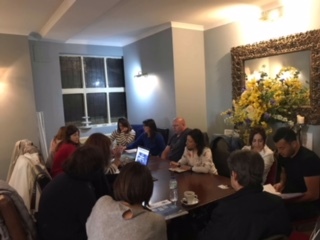 The photograph above was taken when Mrs White and Miss Corbett attended the first transnational meeting of the partnership which was held in Turkey in December. 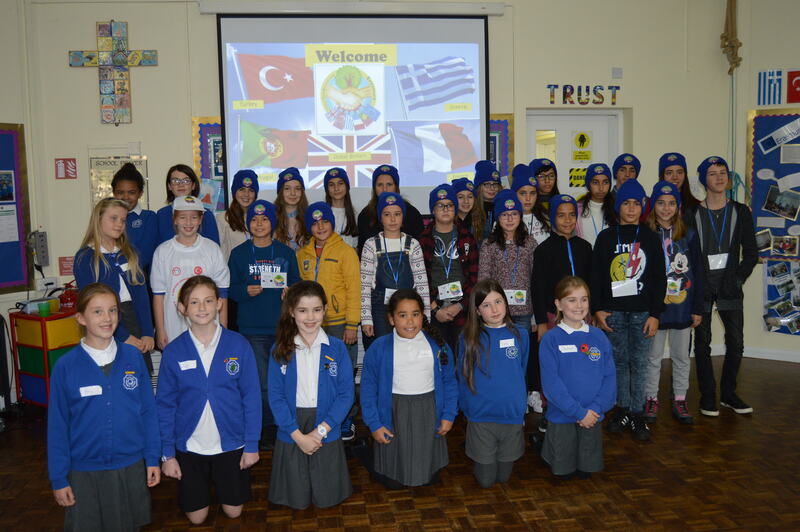 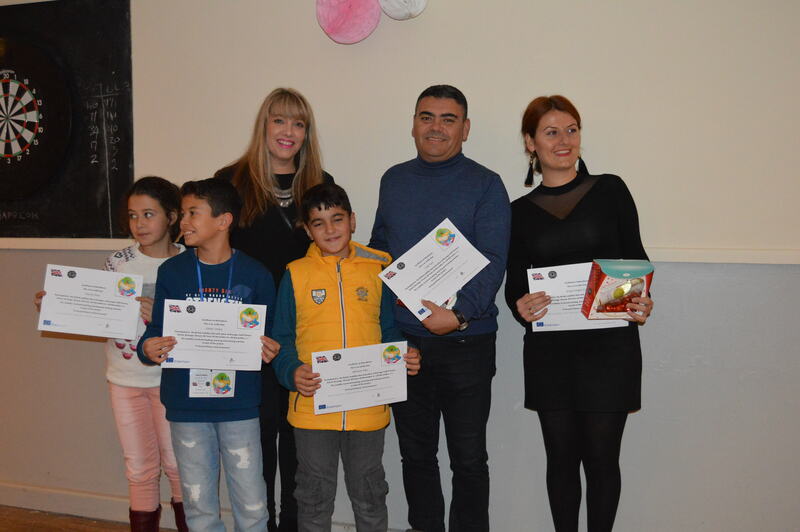 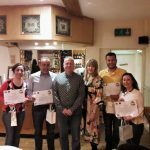 They had a fantastic and most interesting time and were made to feel extremely welcome by the Turkish people they encountered, especially the children in the school. 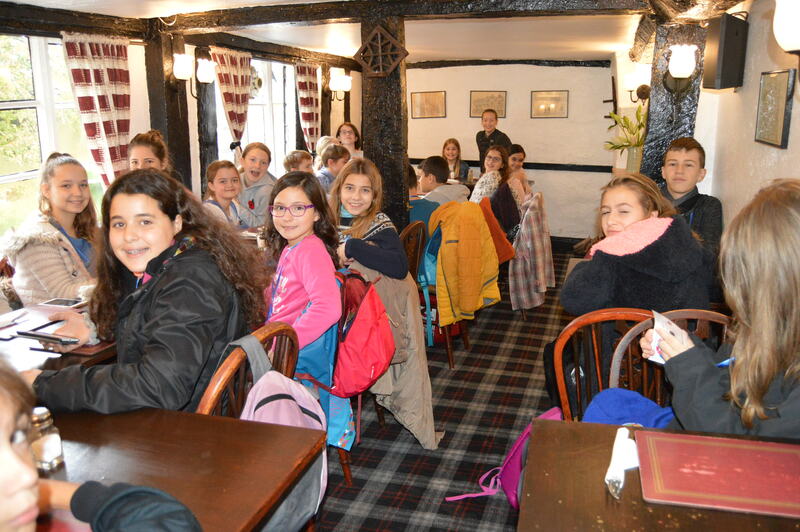 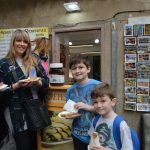 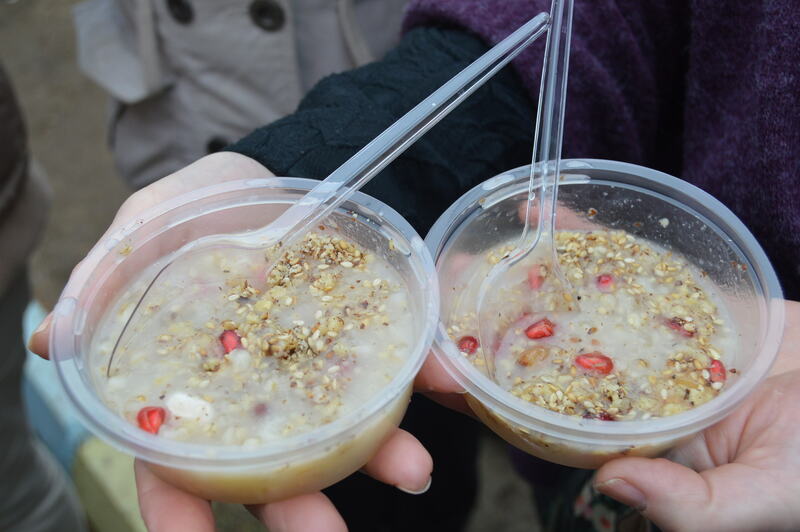 Mrs White and Miss Corbett, enjoyed exploring the local area and trying out some of the local delicacies! 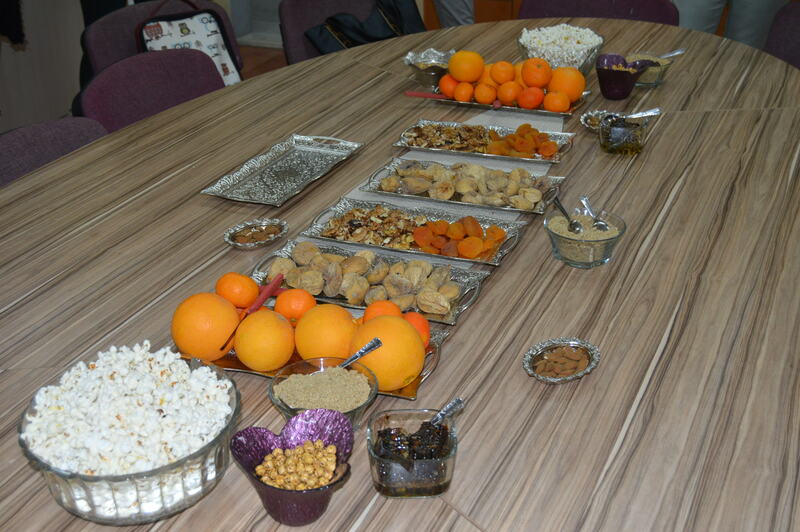 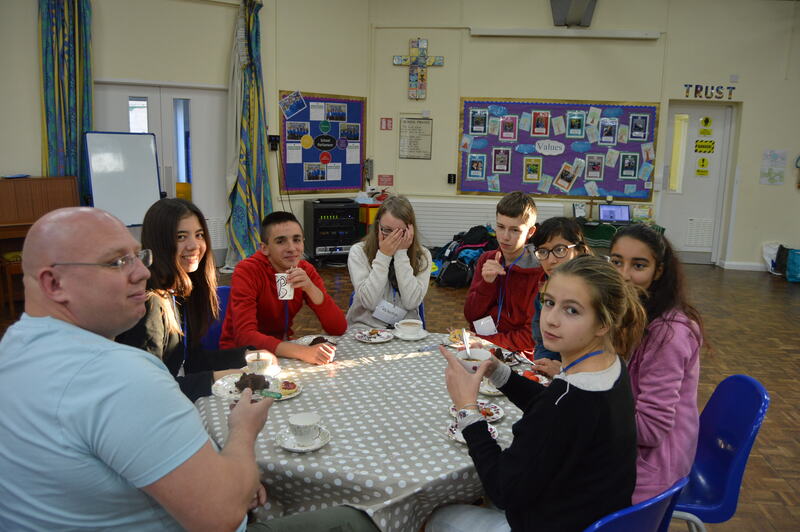 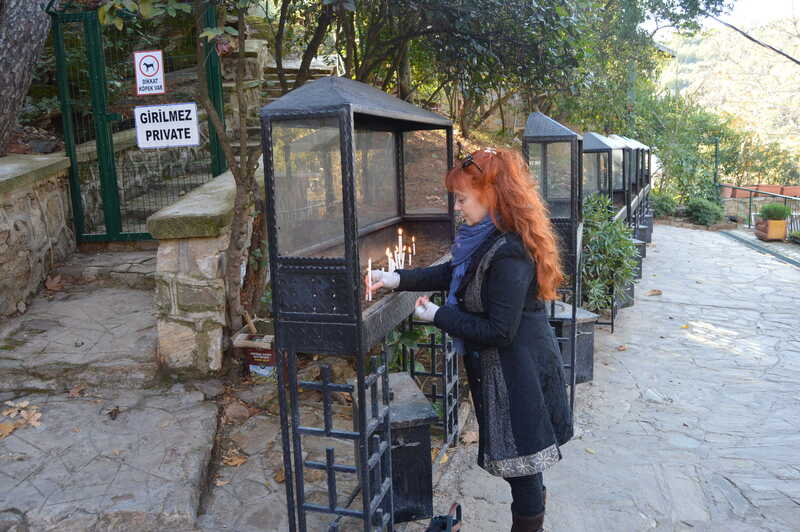 They were even invited to take Turkish coffee with the Head of Education for the locality! 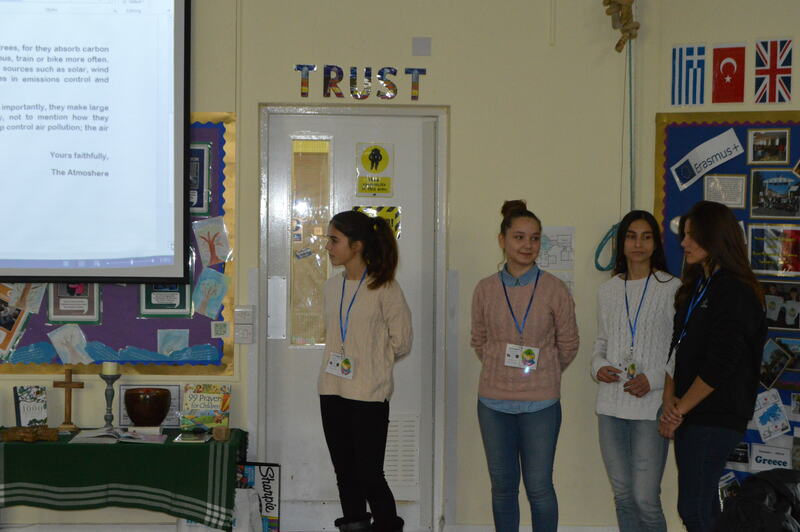 Mrs White did a presentation in front of the Turkish pupils to tell them all about our school, she showed them lots of photographs of our school and of the work we do in Britain. 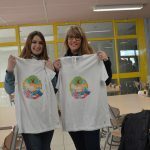 The team voted for a winning design to become the logo of our project: Our entries from Bussage were fantastic, however the overall winner came from our Portuguese partner school, and here it is! 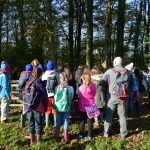 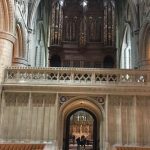 We look forward to welcoming visitors from our partners to Bussage later on in 2017.